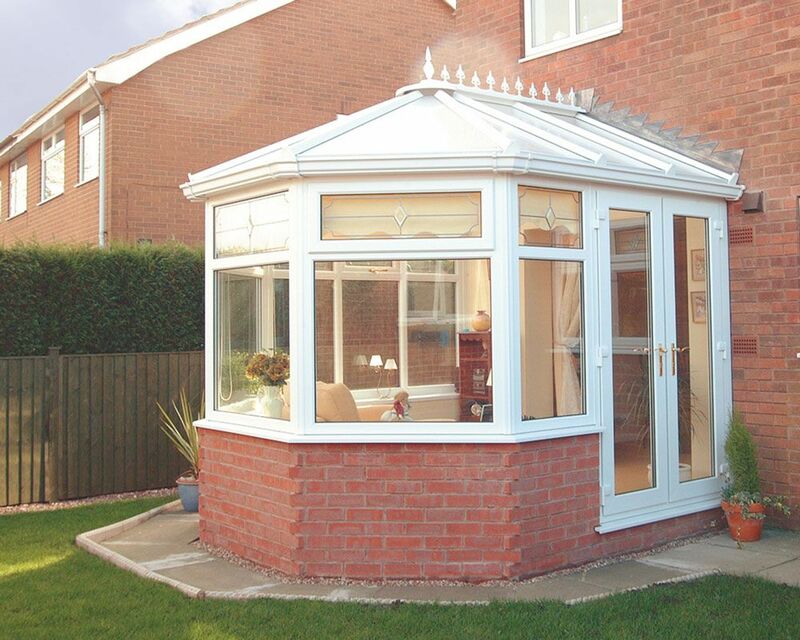 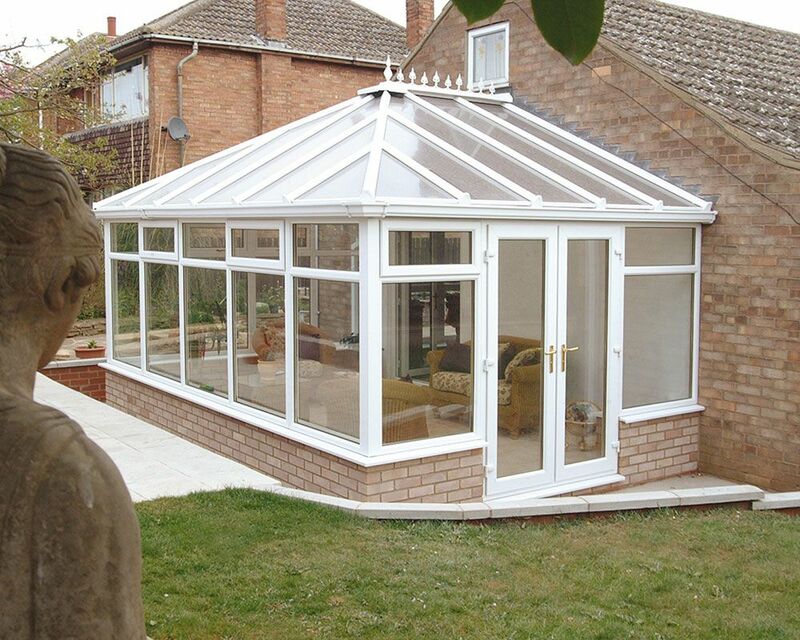 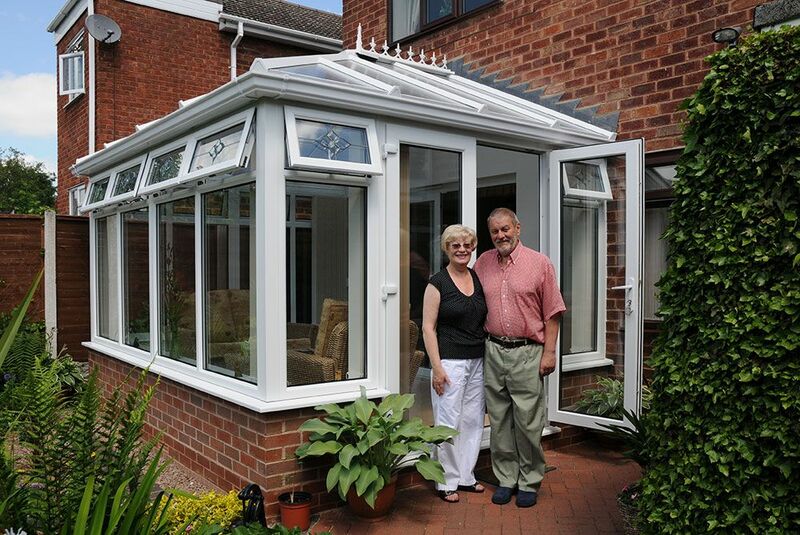 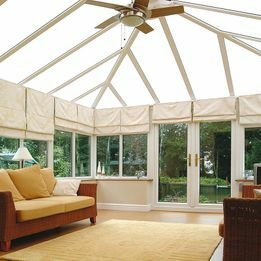 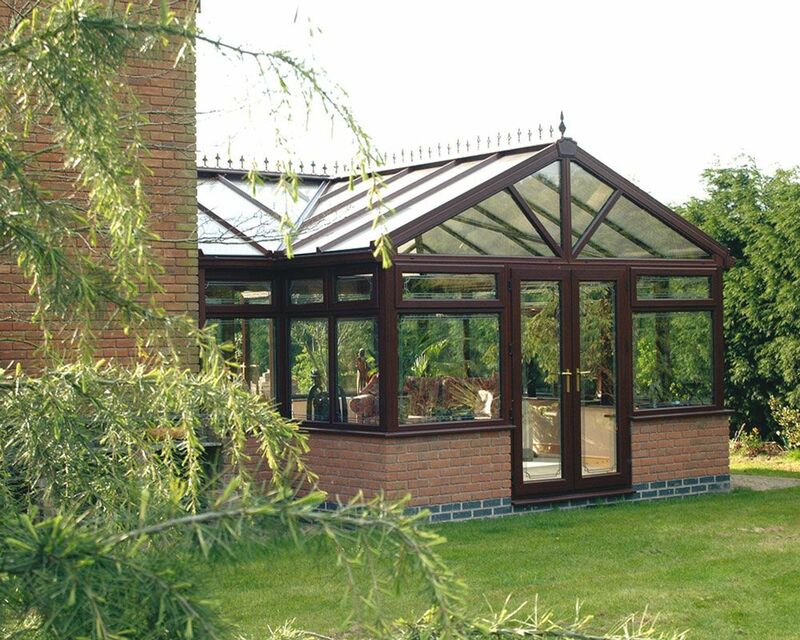 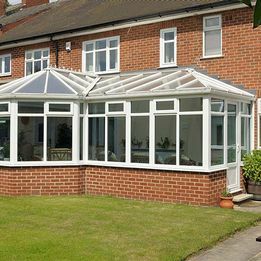 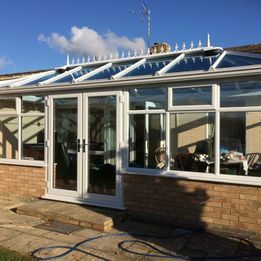 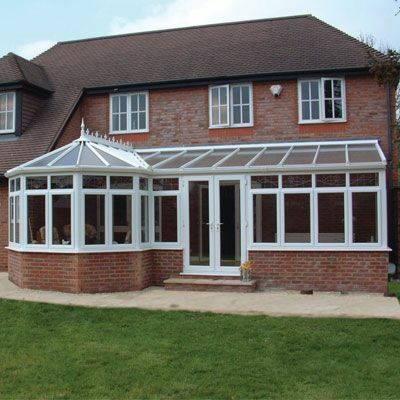 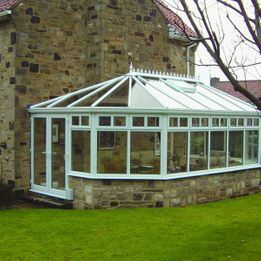 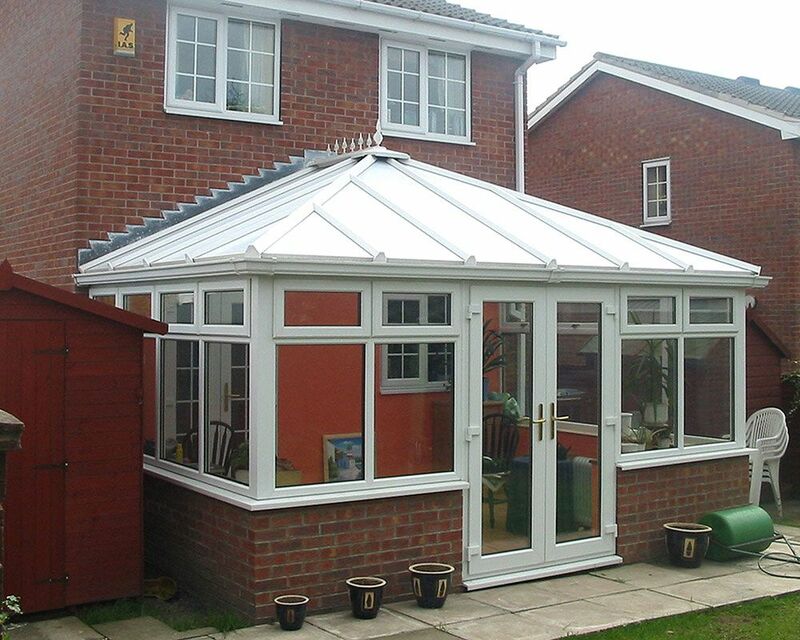 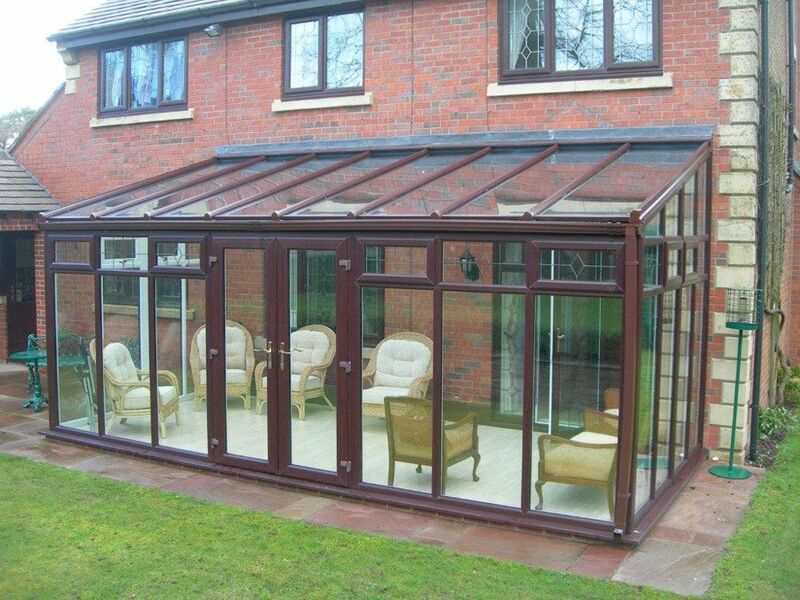 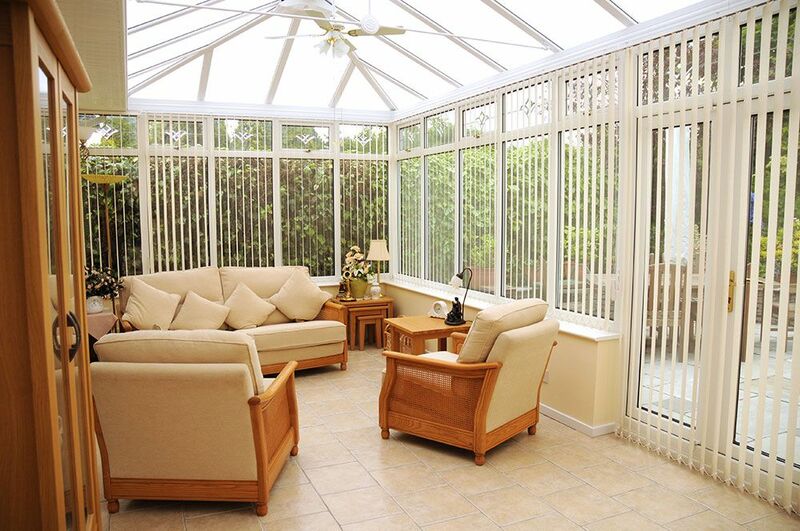 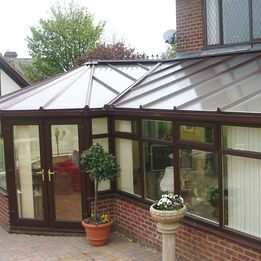 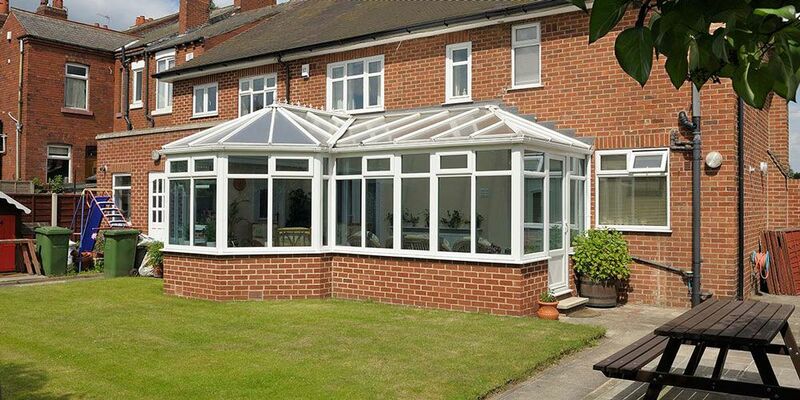 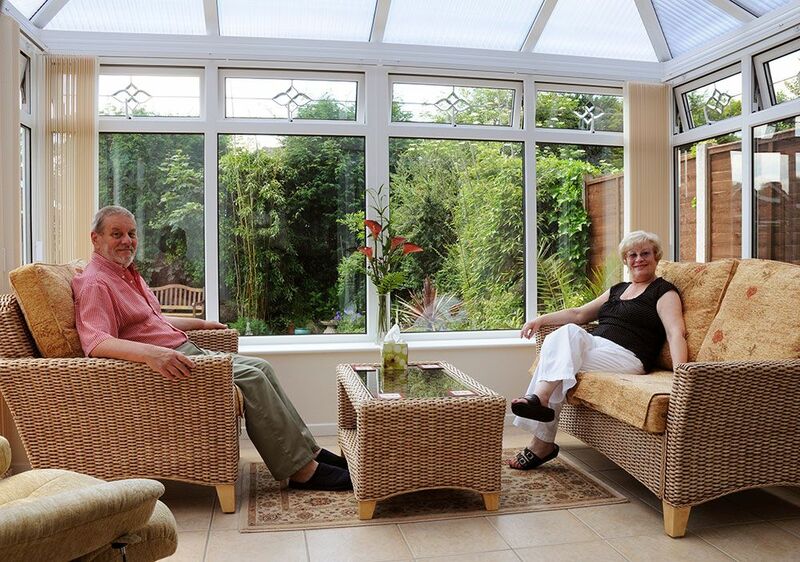 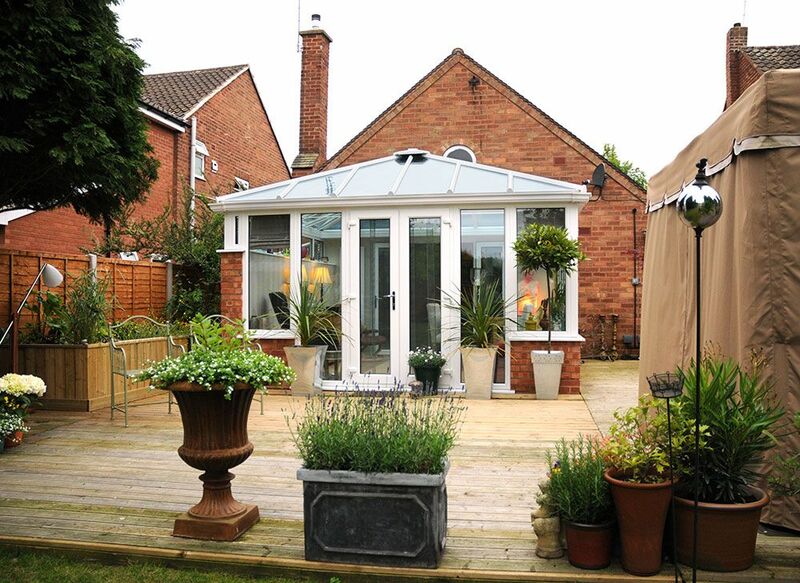 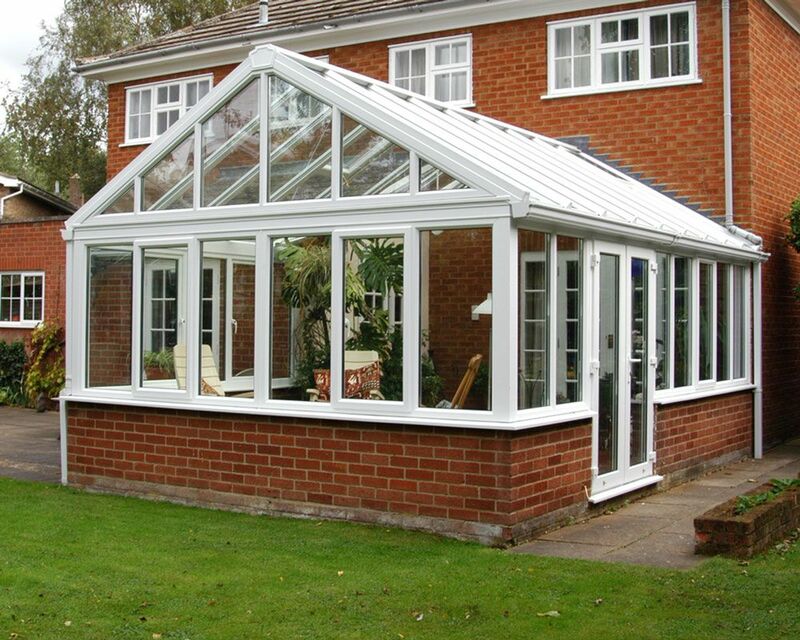 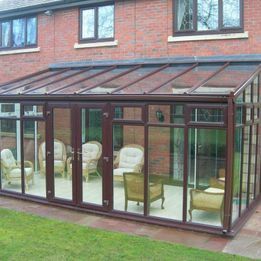 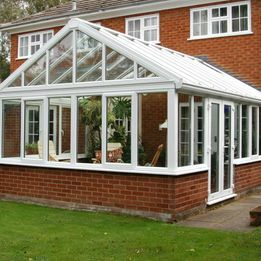 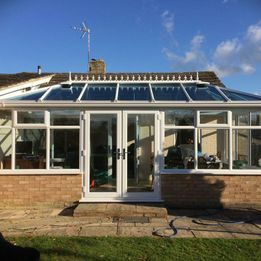 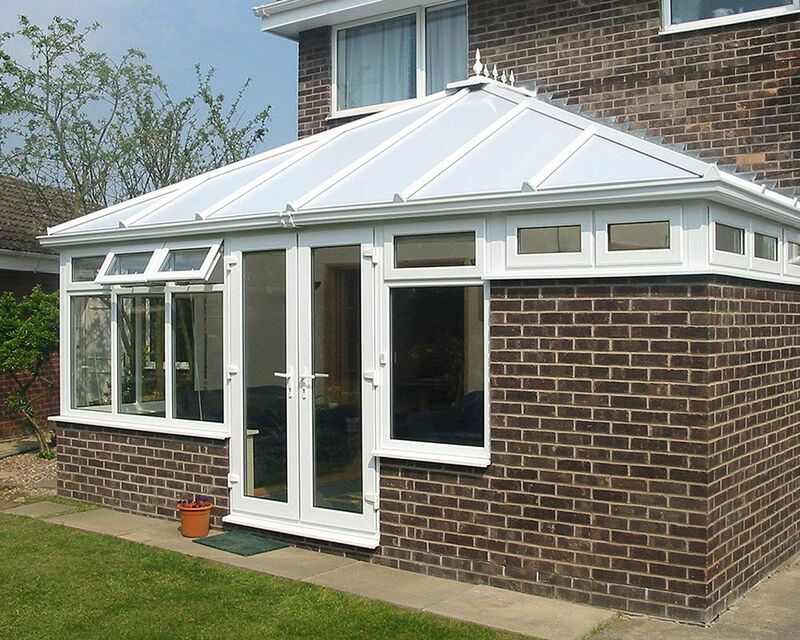 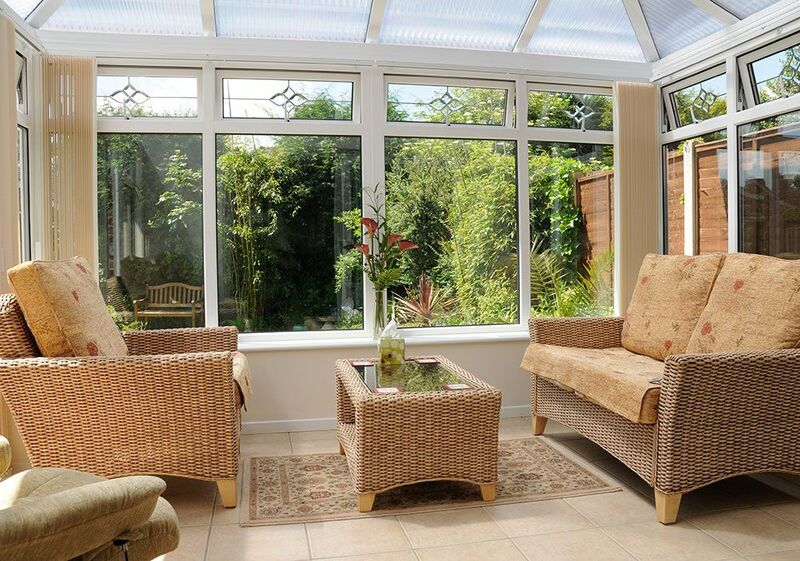 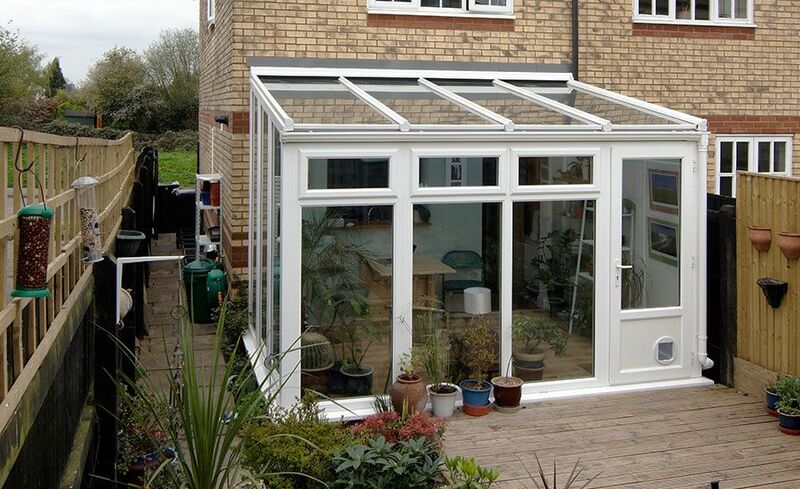 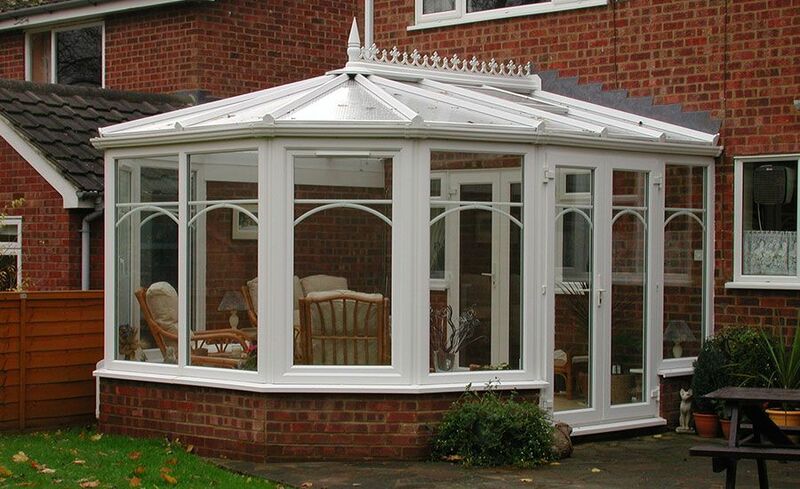 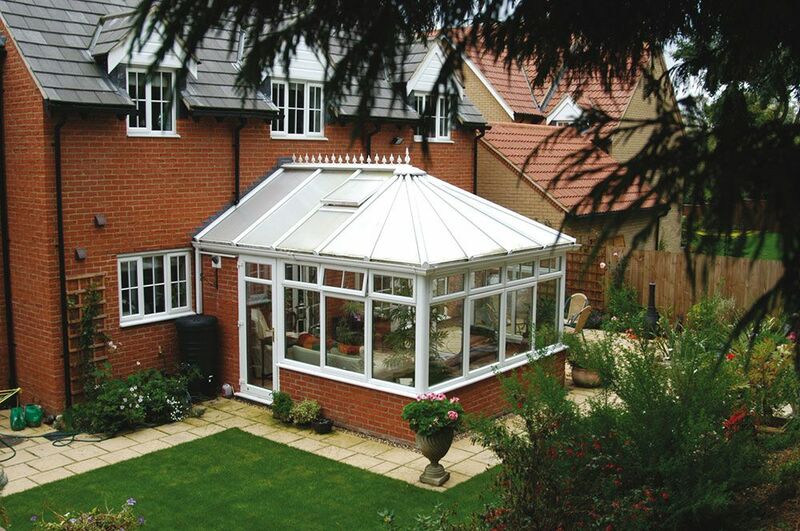 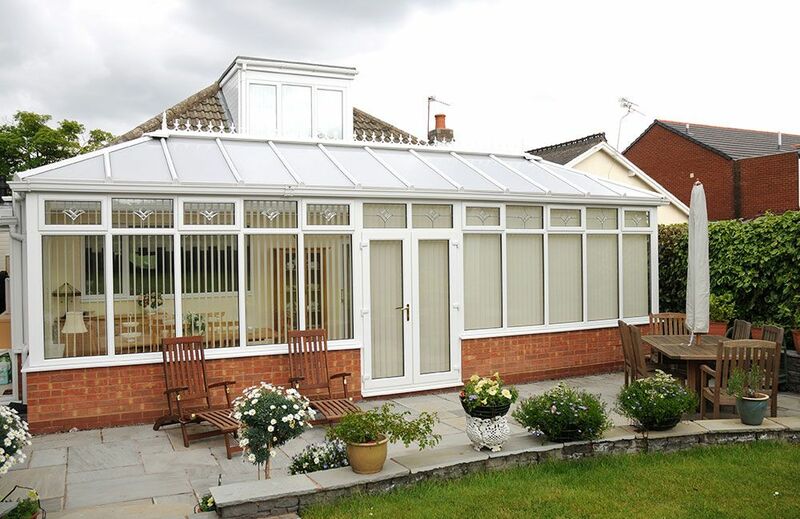 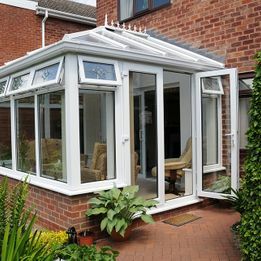 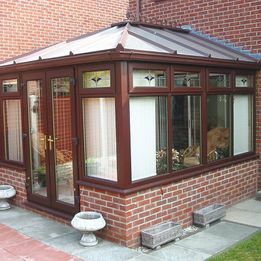 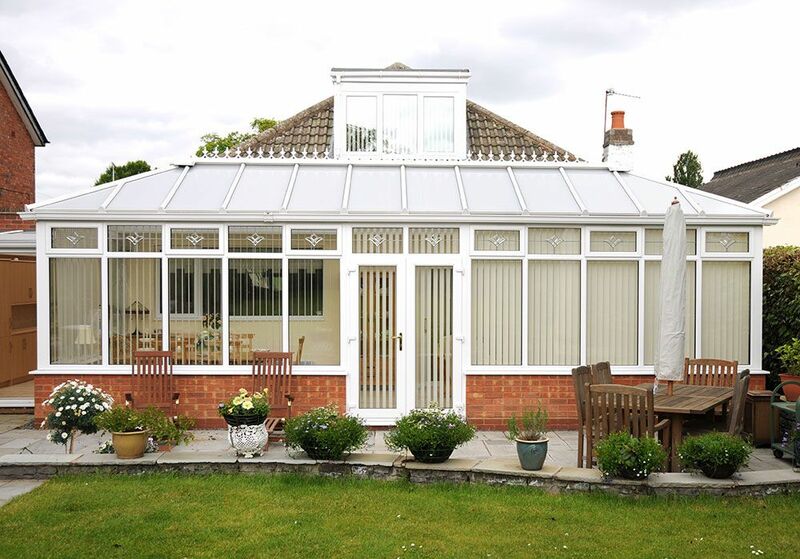 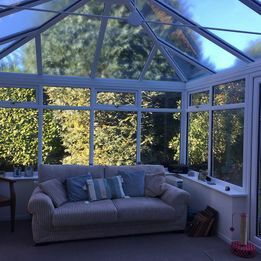 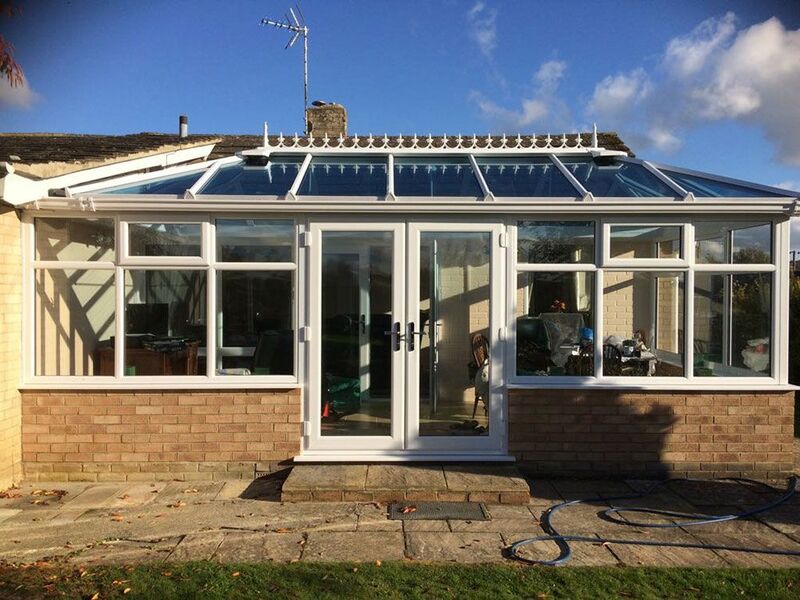 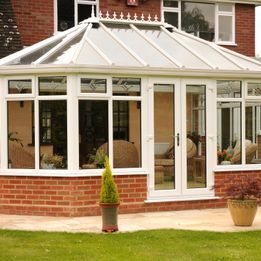 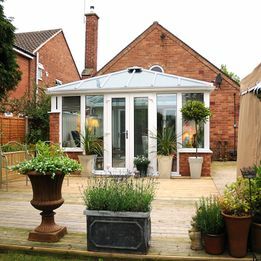 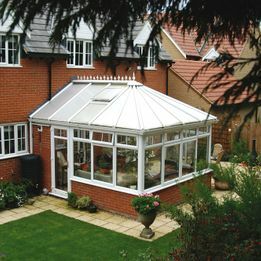 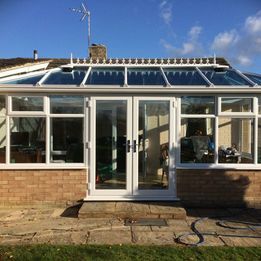 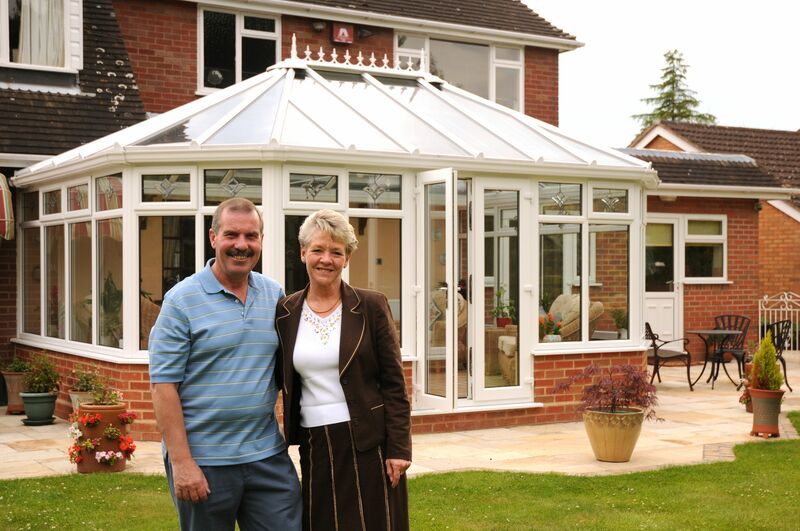 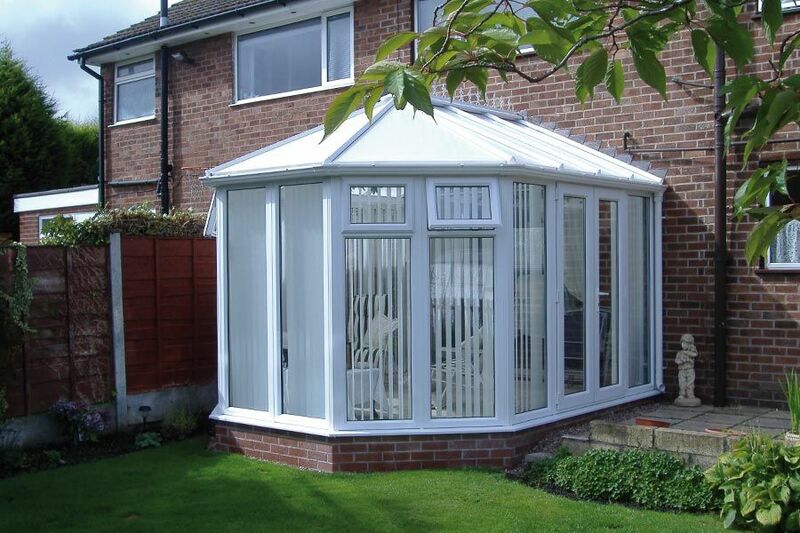 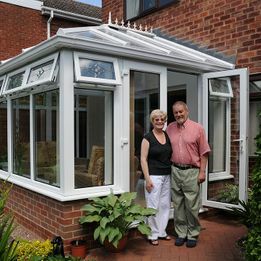 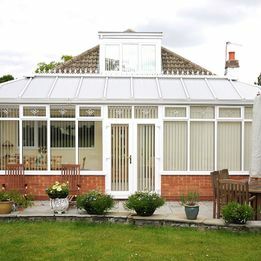 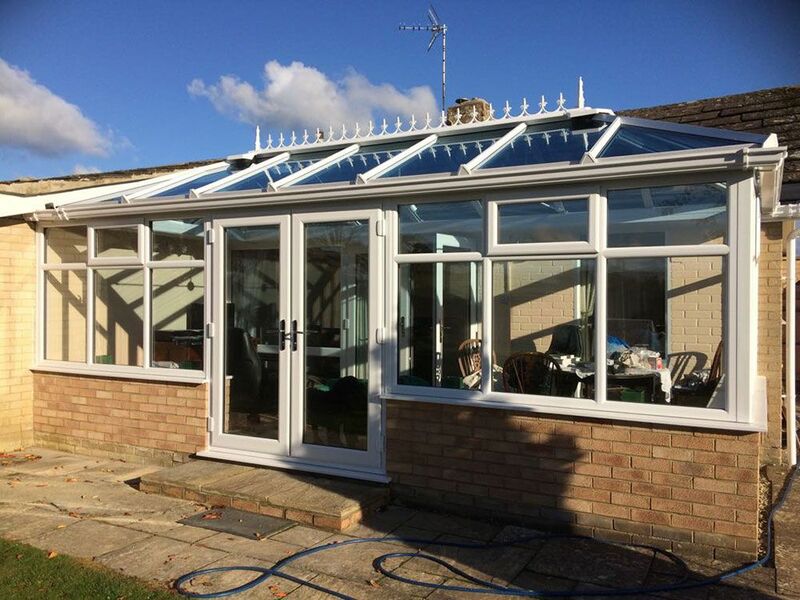 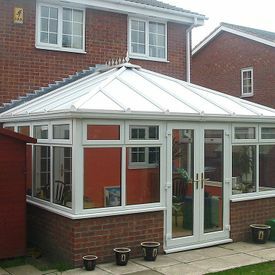 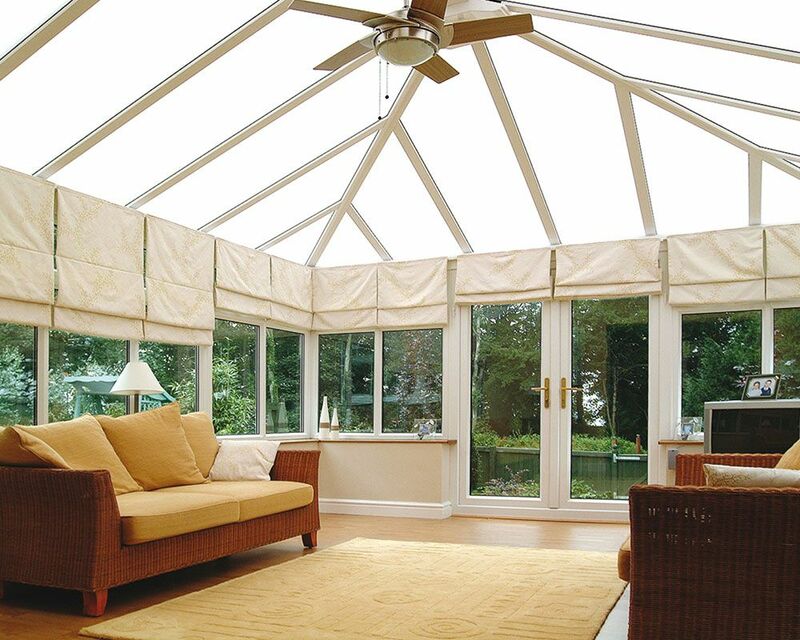 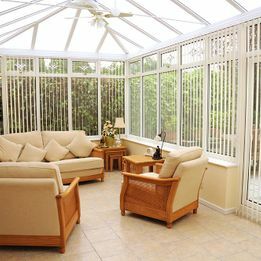 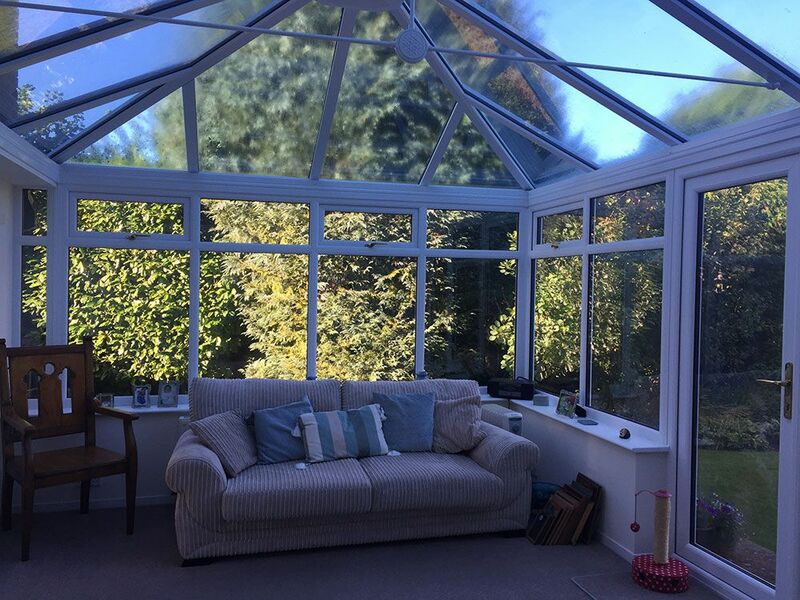 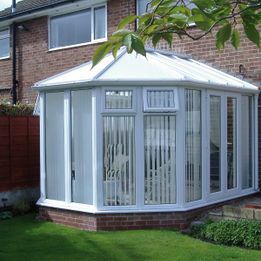 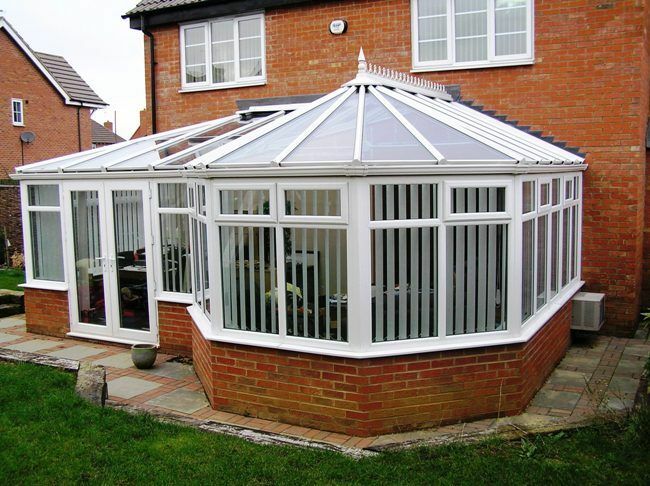 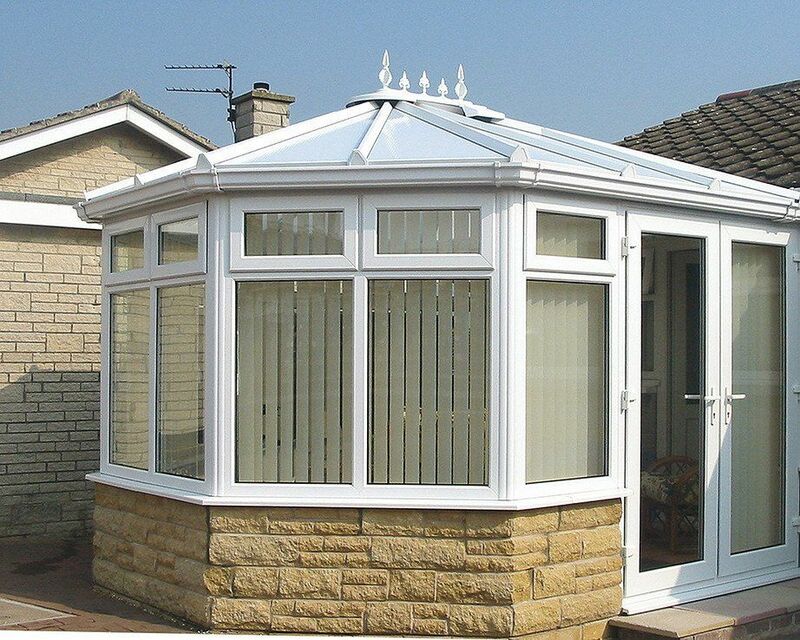 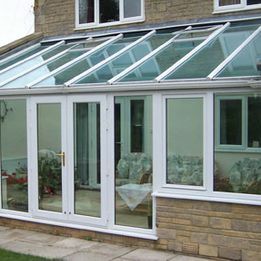 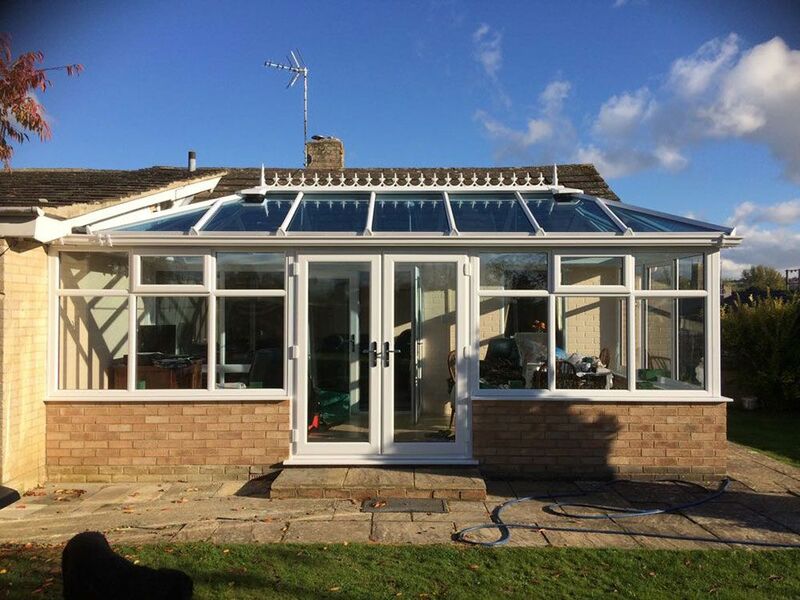 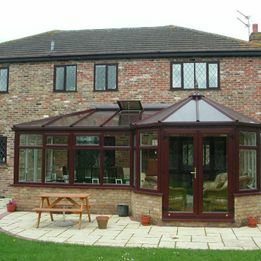 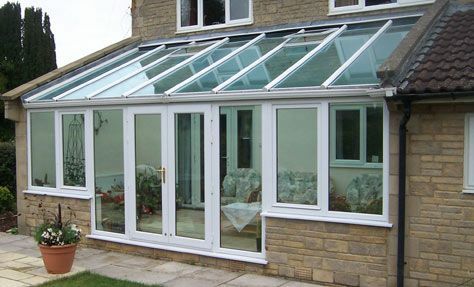 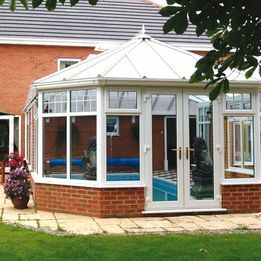 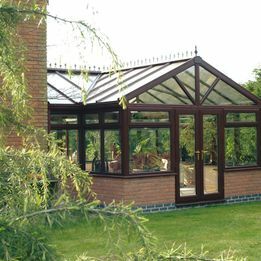 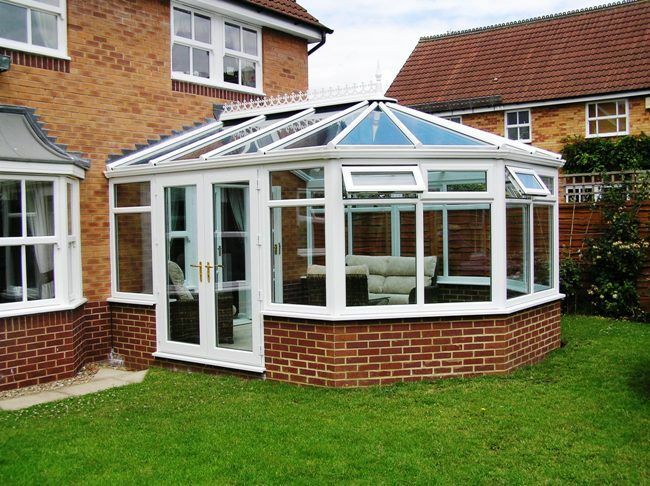 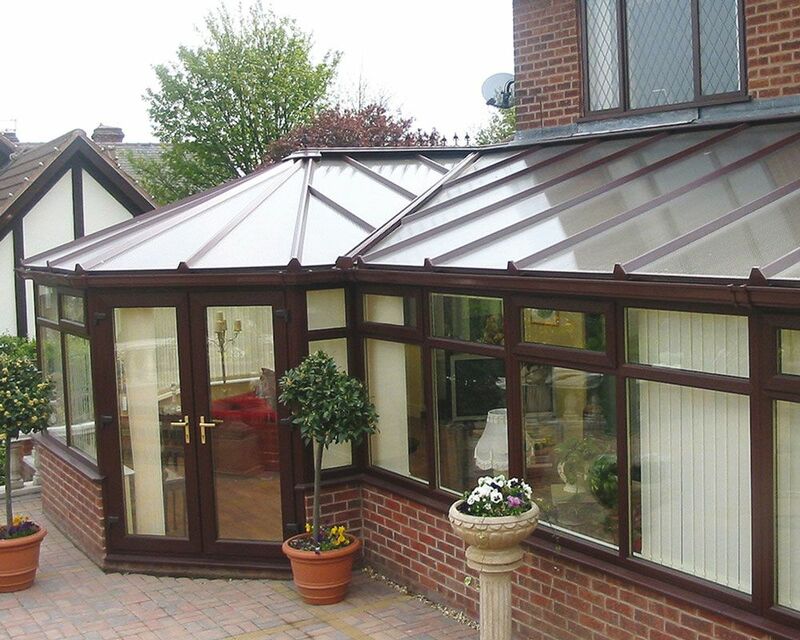 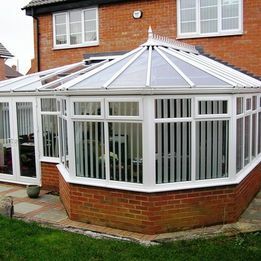 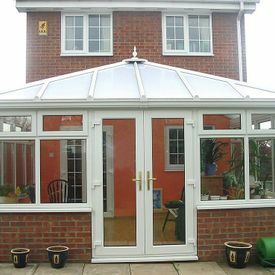 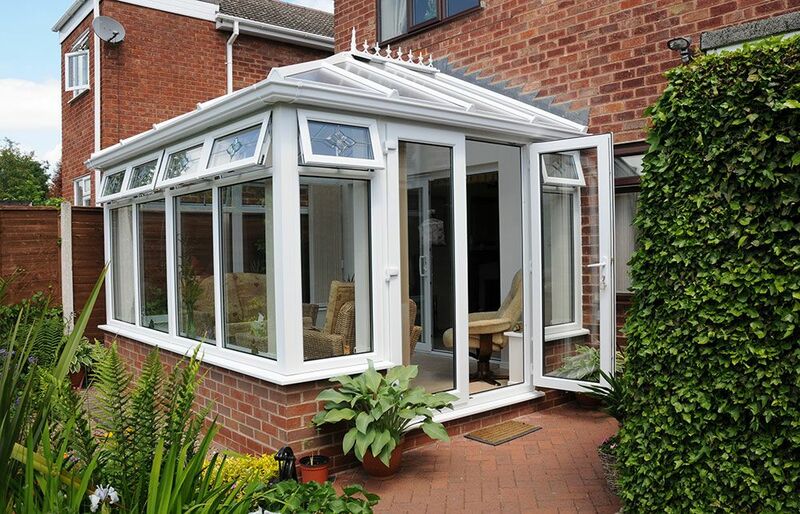 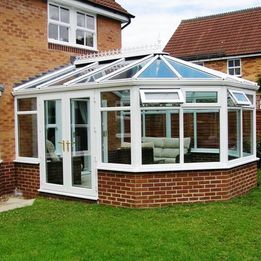 A conservatory not only looks great but also adds value to your home. 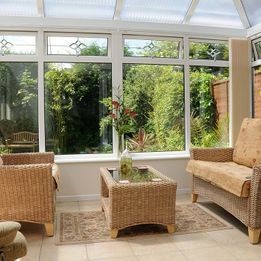 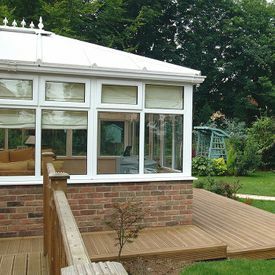 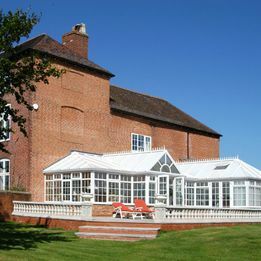 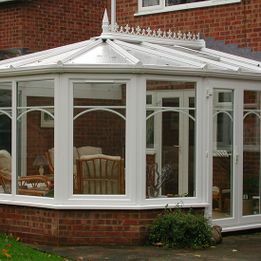 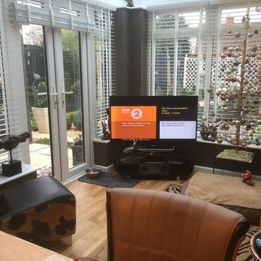 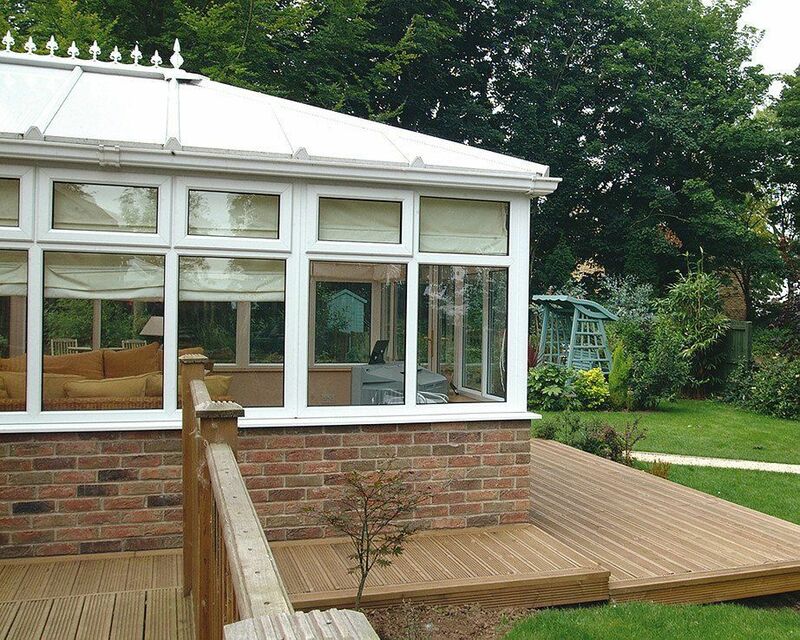 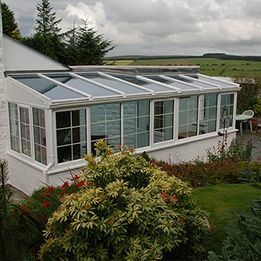 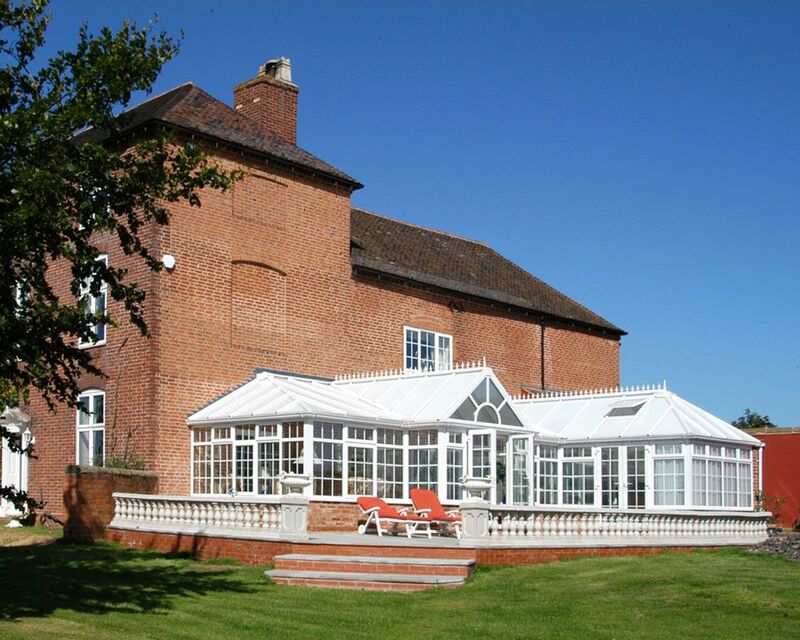 Conservatories can be used as a garden room, playroom or even a study. 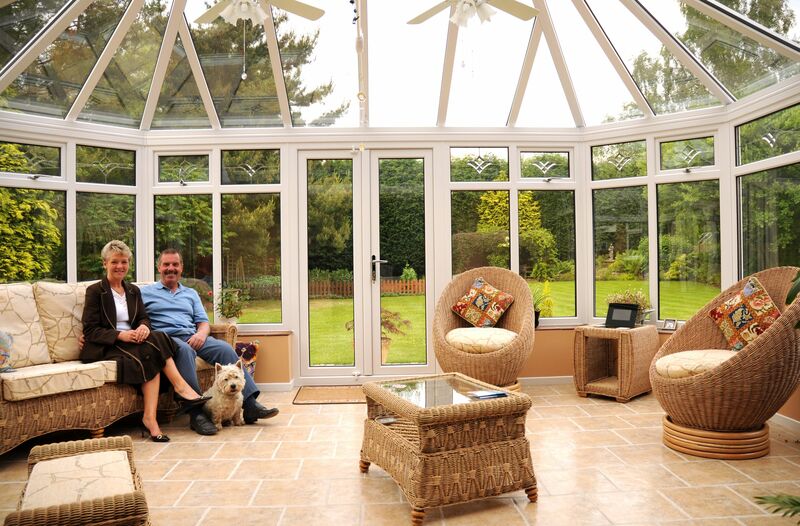 There are a wide range of styles to choose from all of which are shown in our spacious showroom. 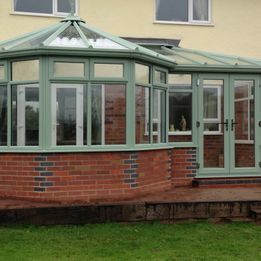 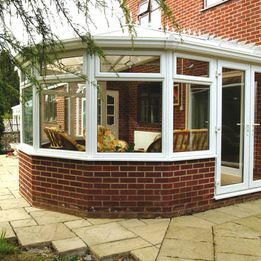 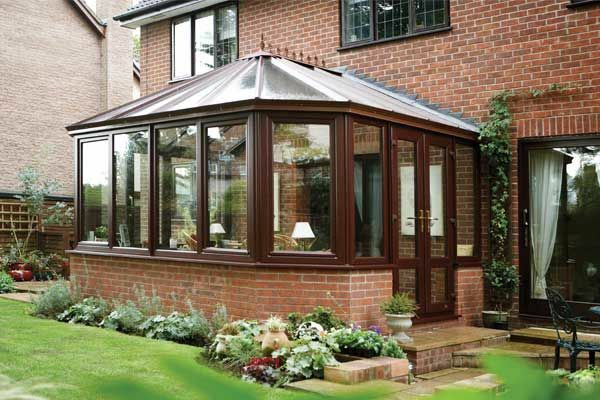 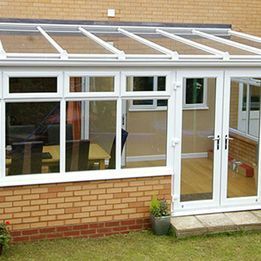 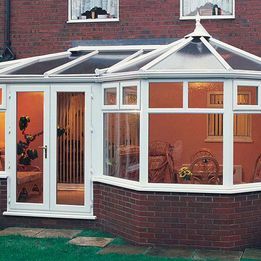 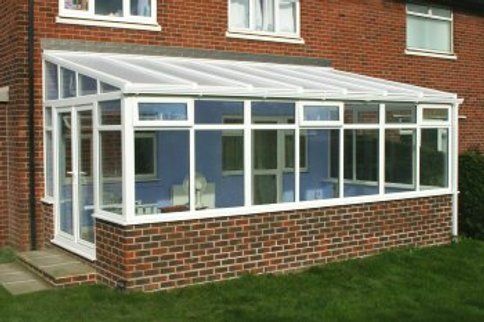 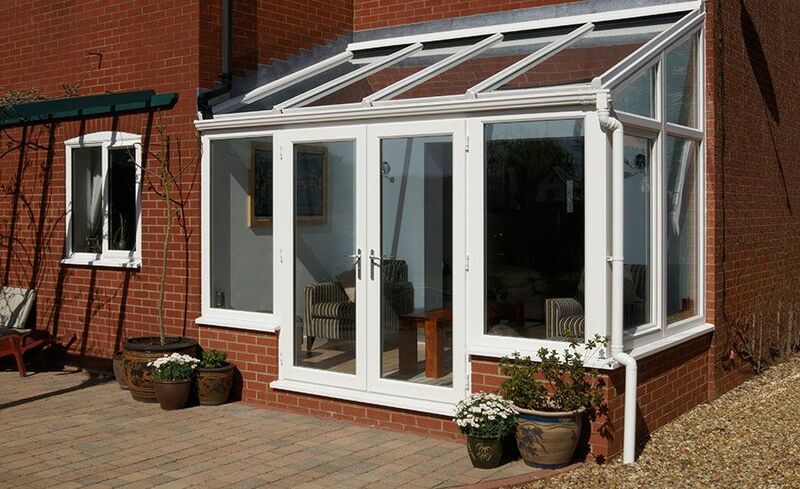 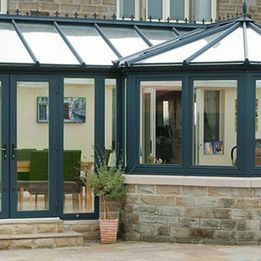 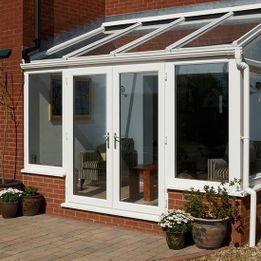 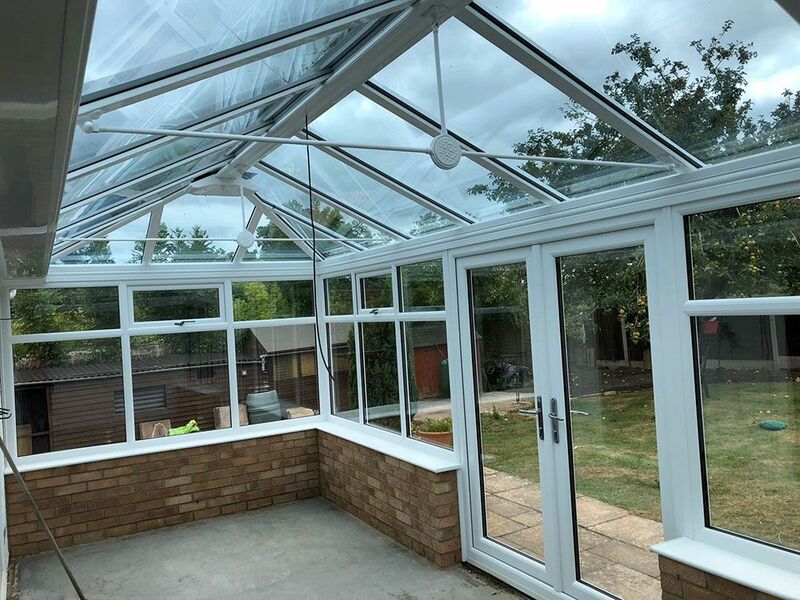 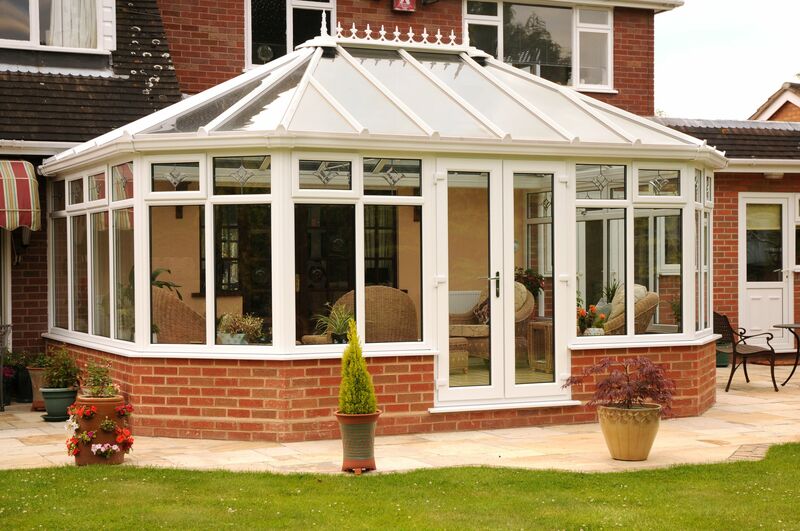 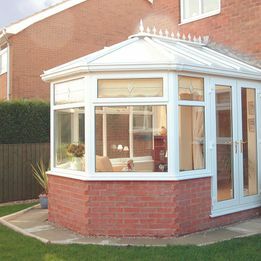 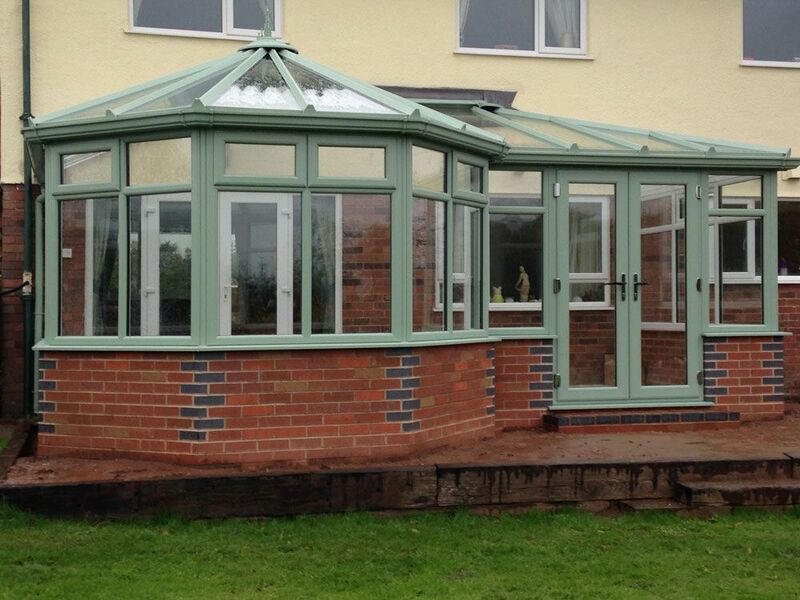 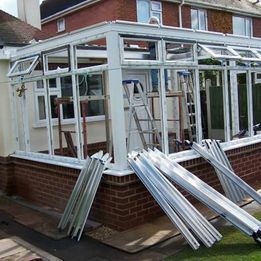 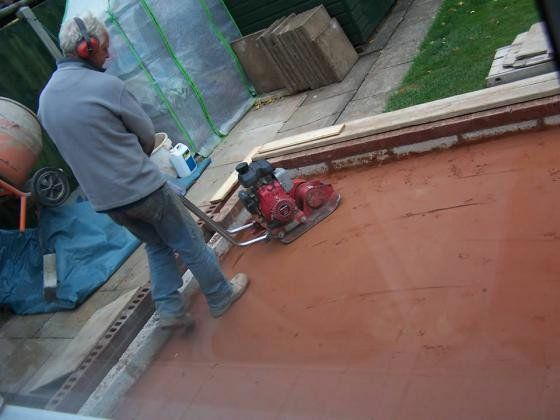 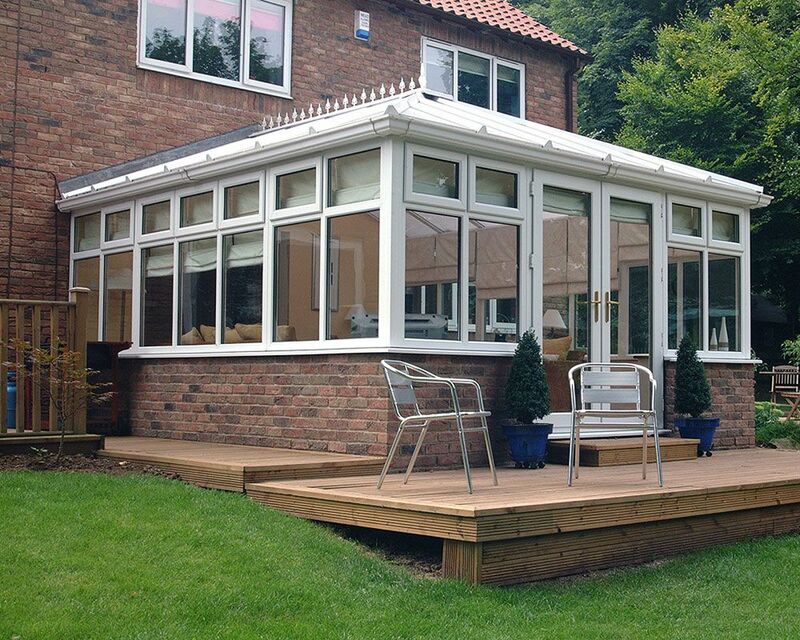 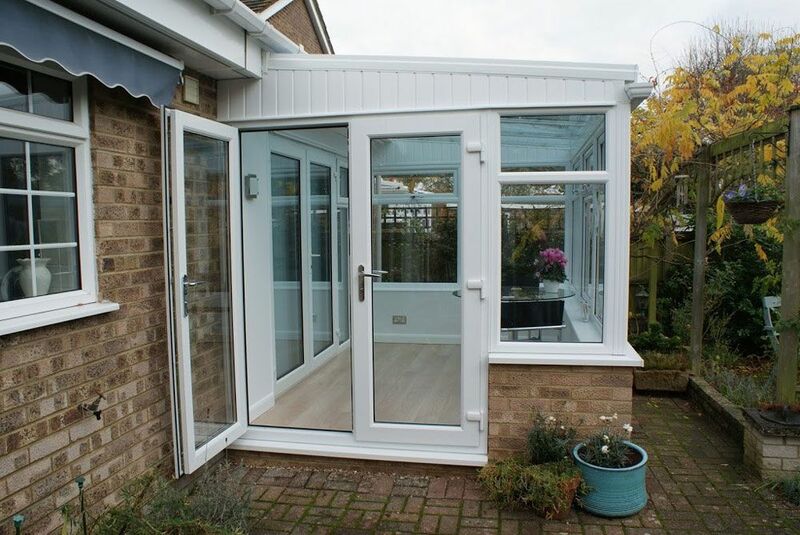 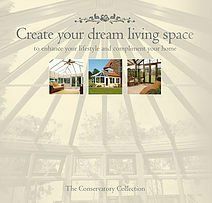 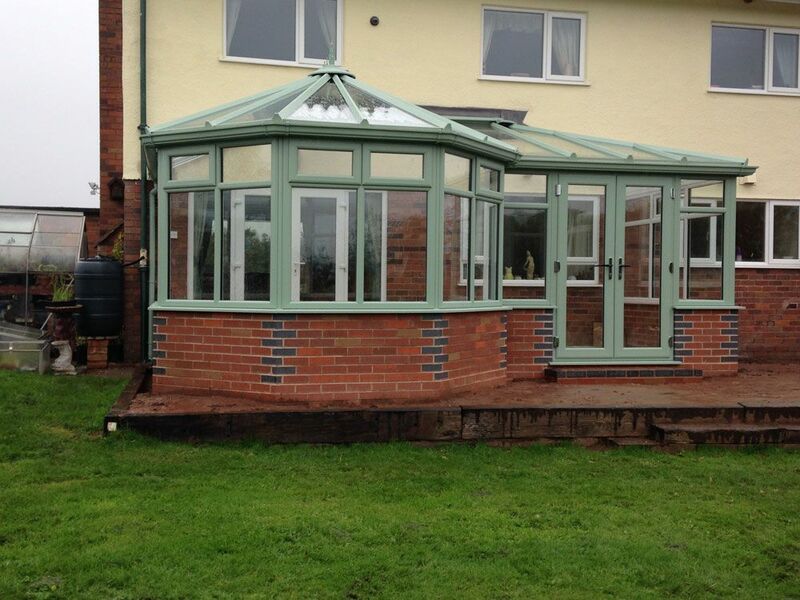 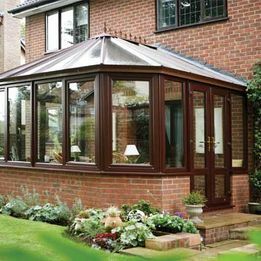 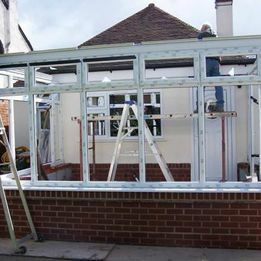 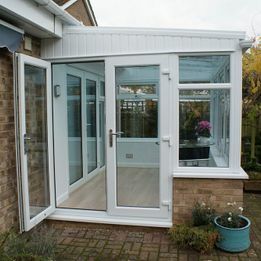 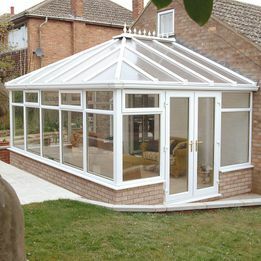 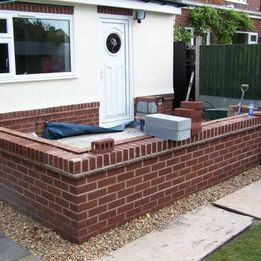 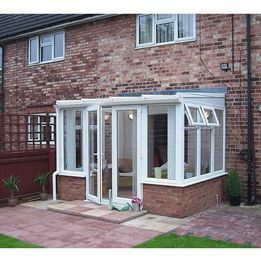 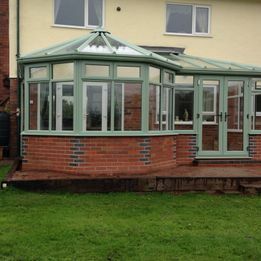 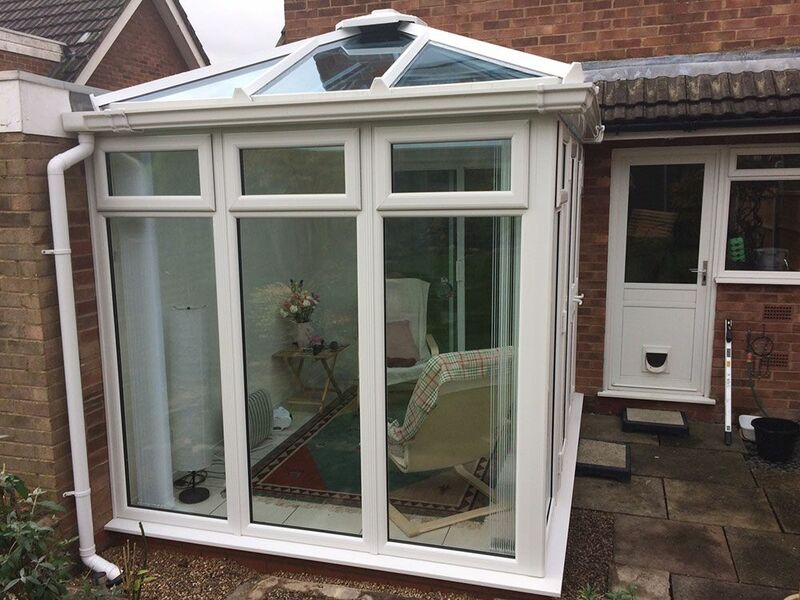 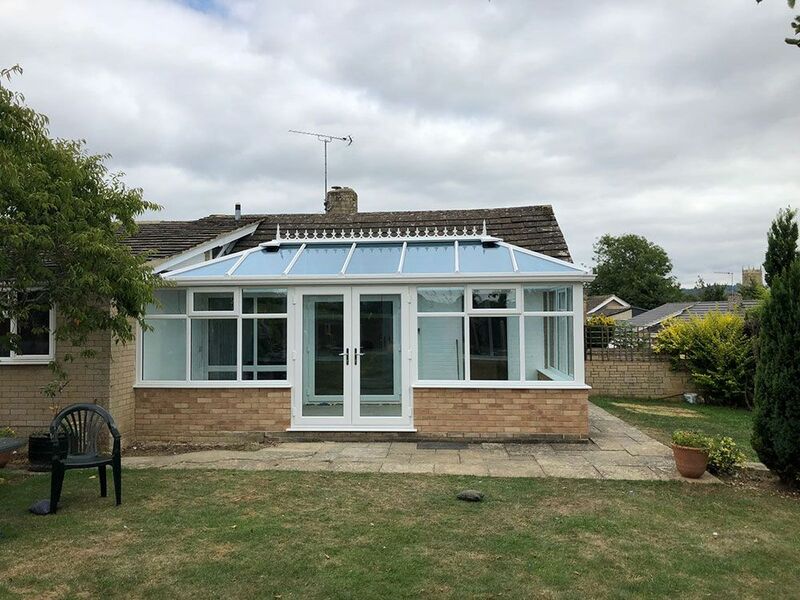 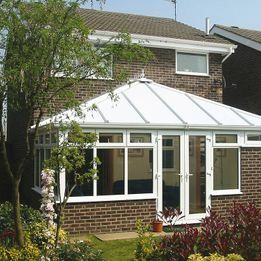 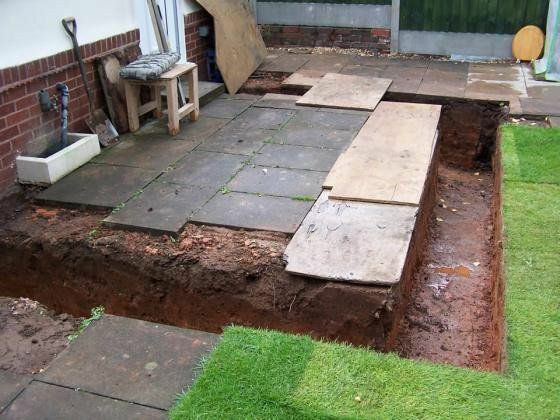 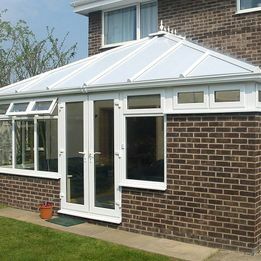 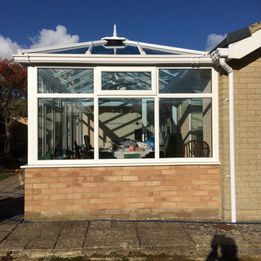 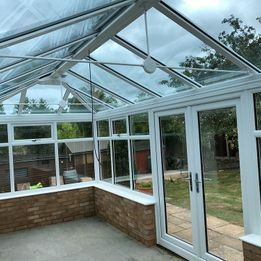 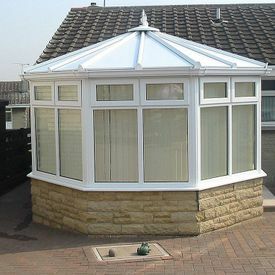 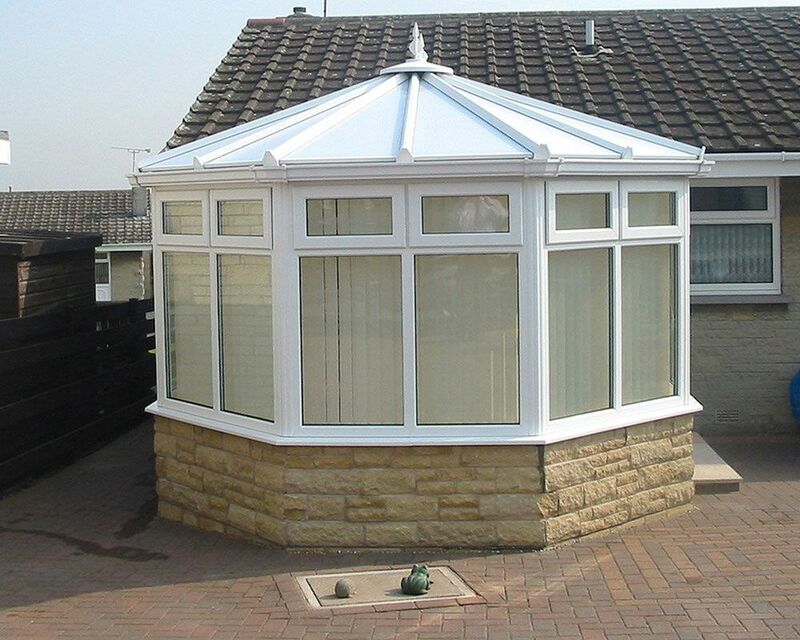 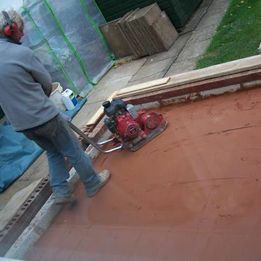 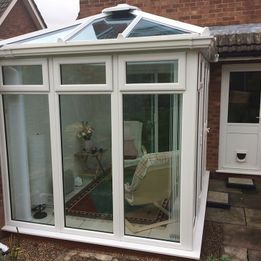 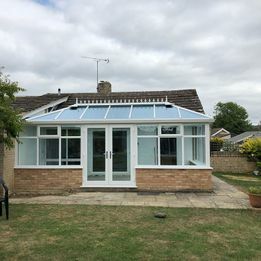 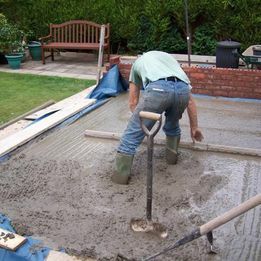 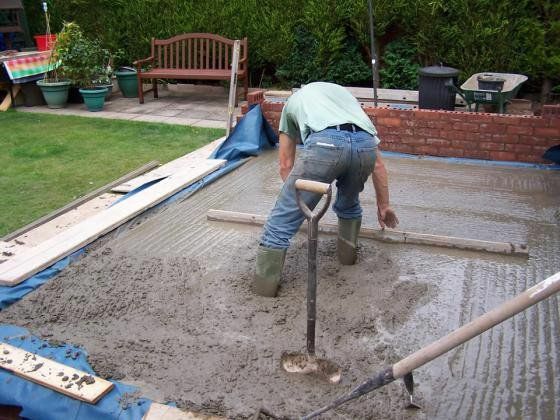 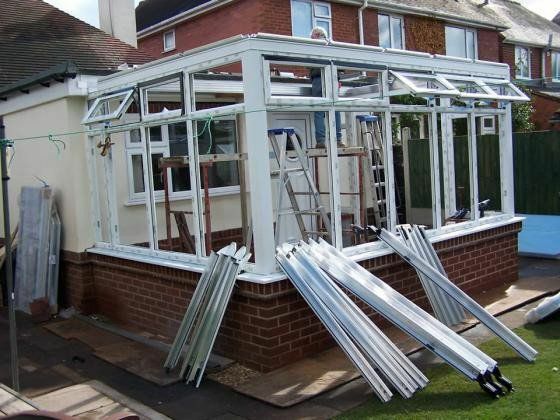 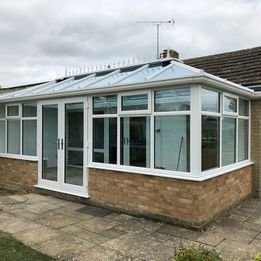 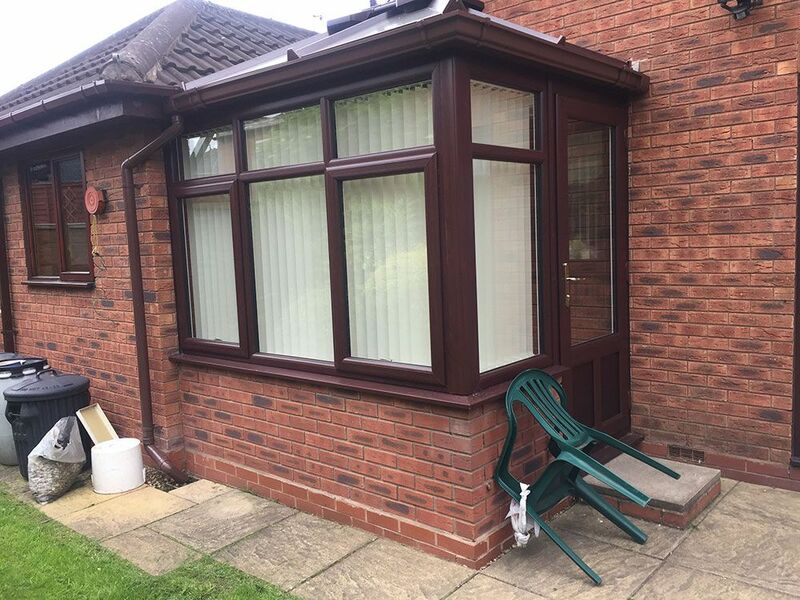 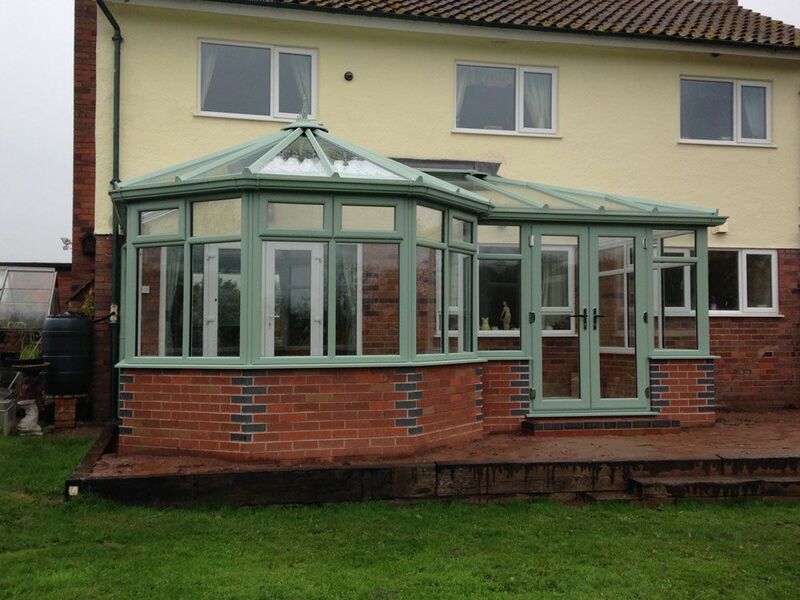 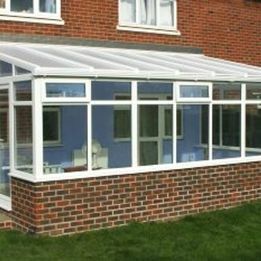 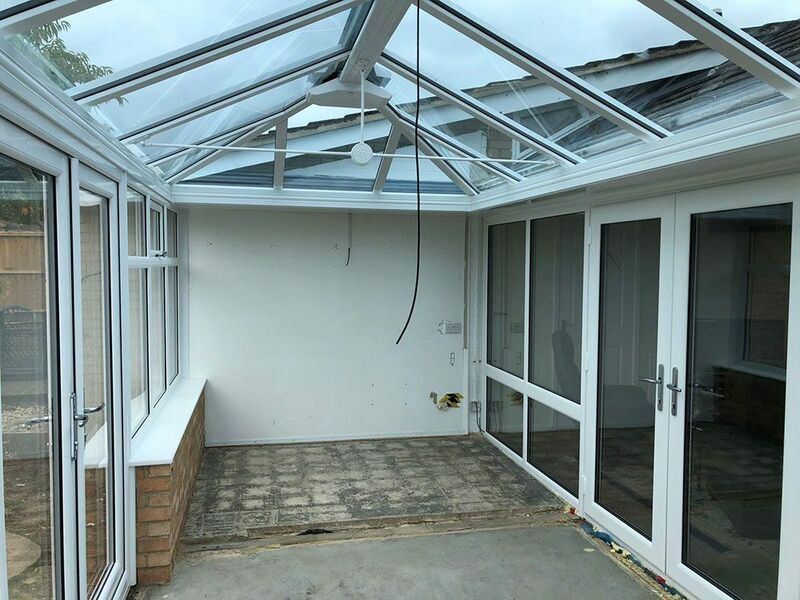 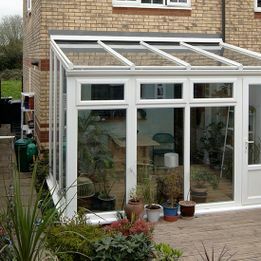 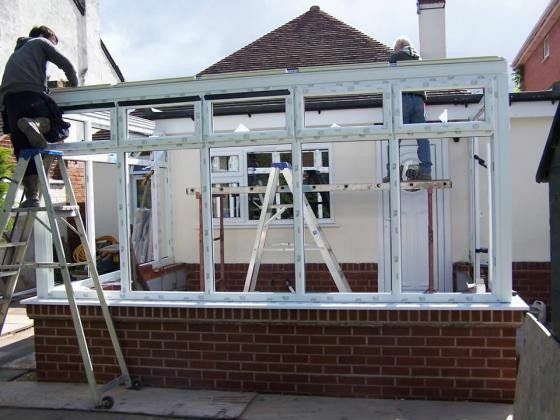 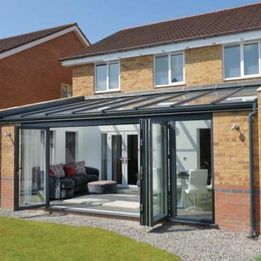 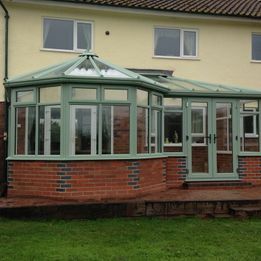 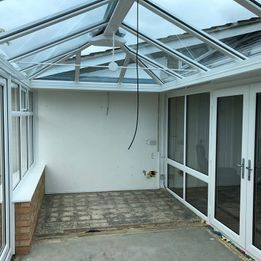 It’s so much easier to imagine your new conservatory when you can see all of the options available. 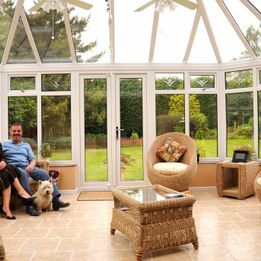 Natural light is a benefit in any room of the house but there is probably no better example than a well constructed conservatory. 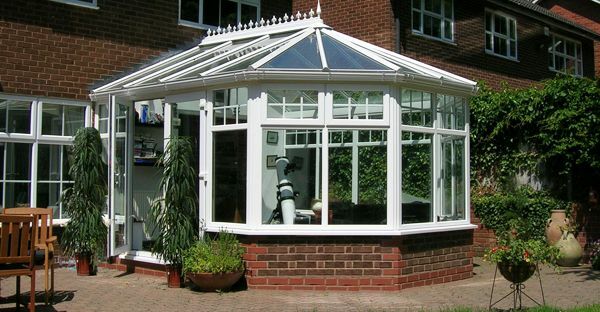 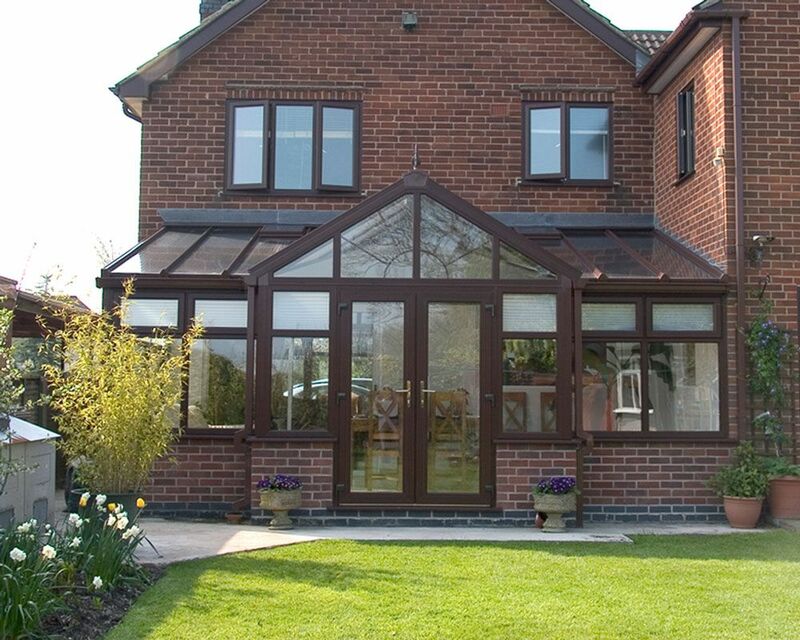 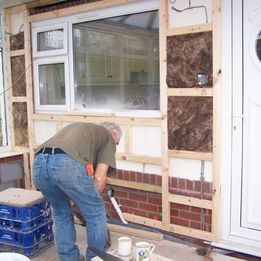 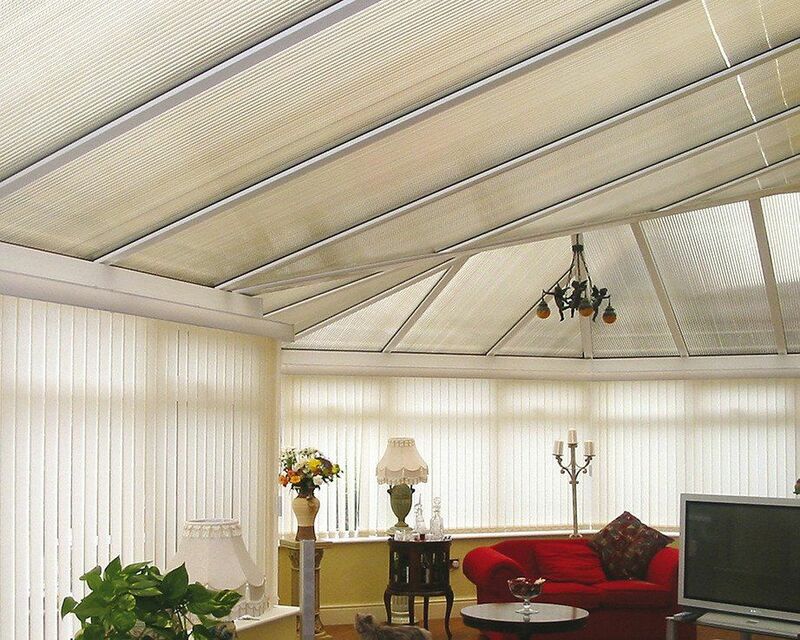 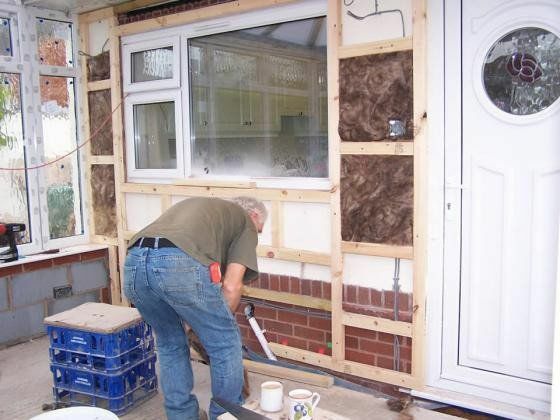 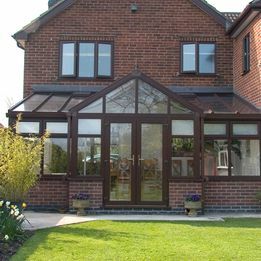 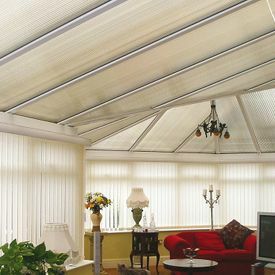 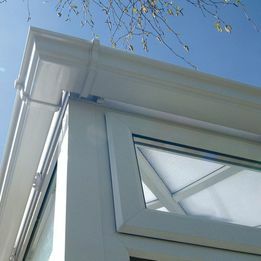 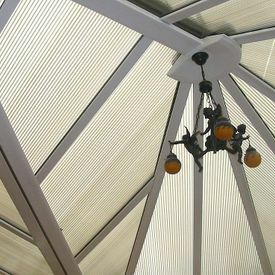 With our modern conservatories there is better insulation than ever before but with no loss of light. 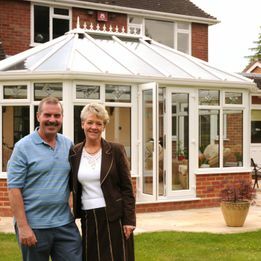 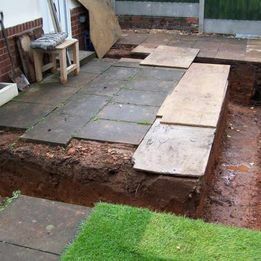 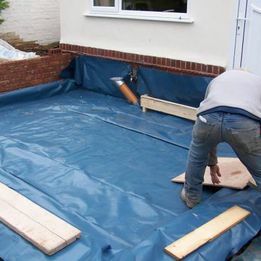 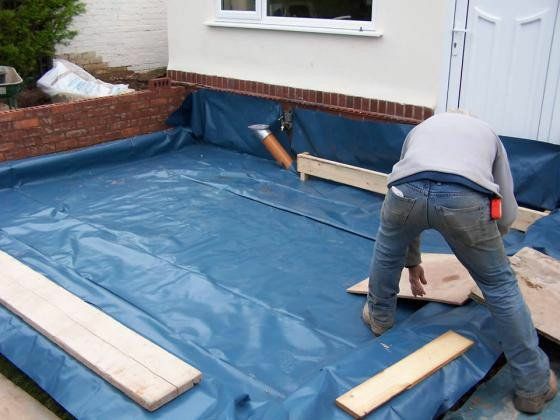 Whatever style you choose you can be sure that our expert sales team can advise the right style for you for the best price. 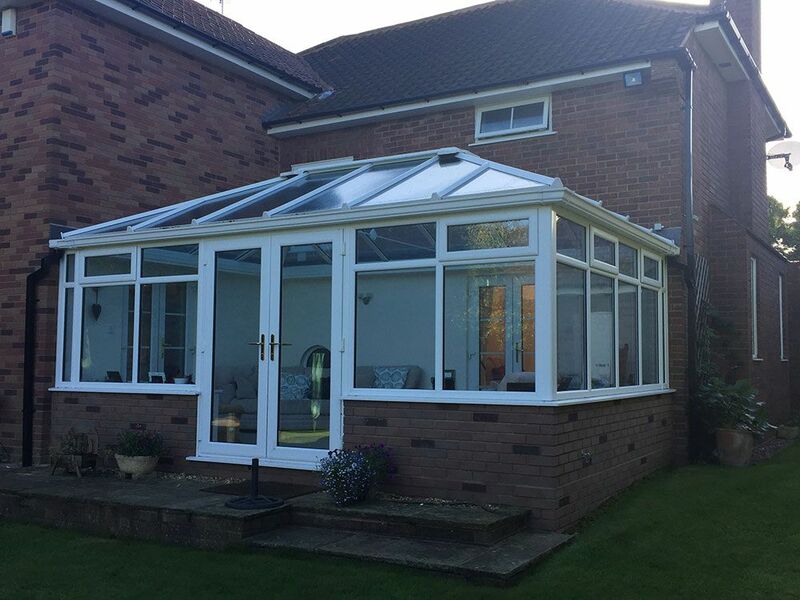 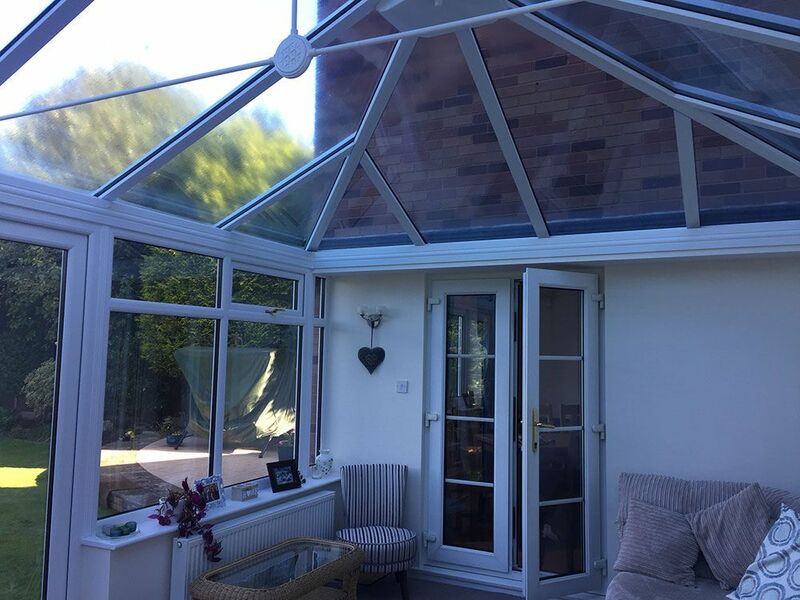 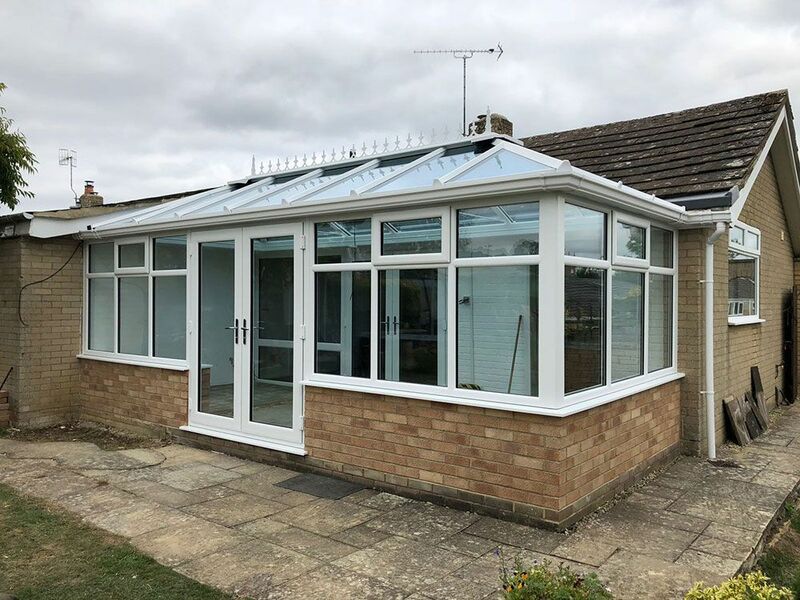 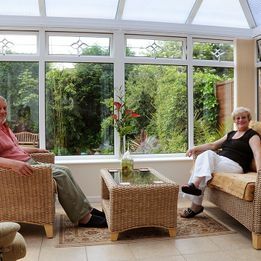 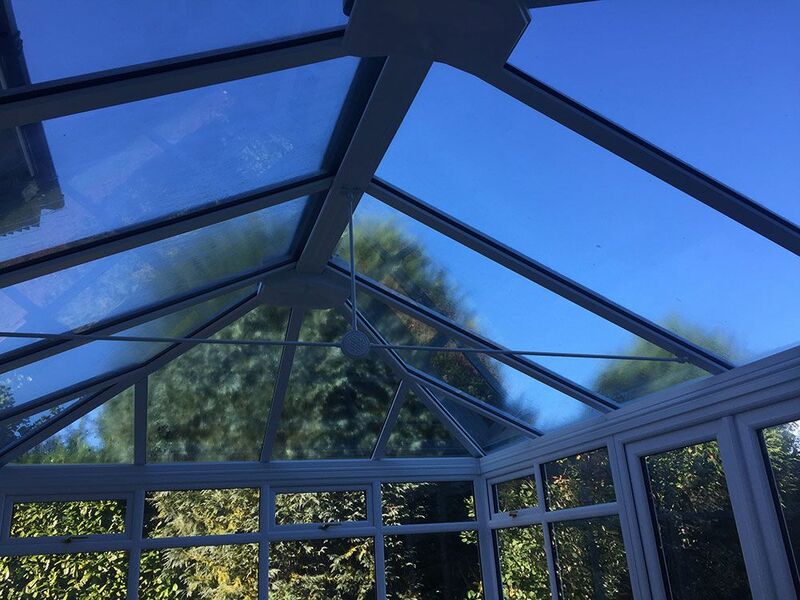 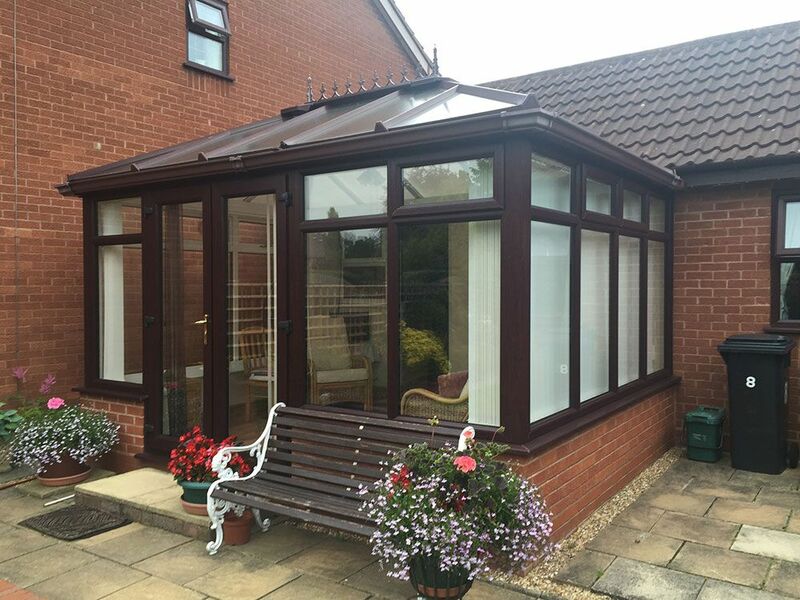 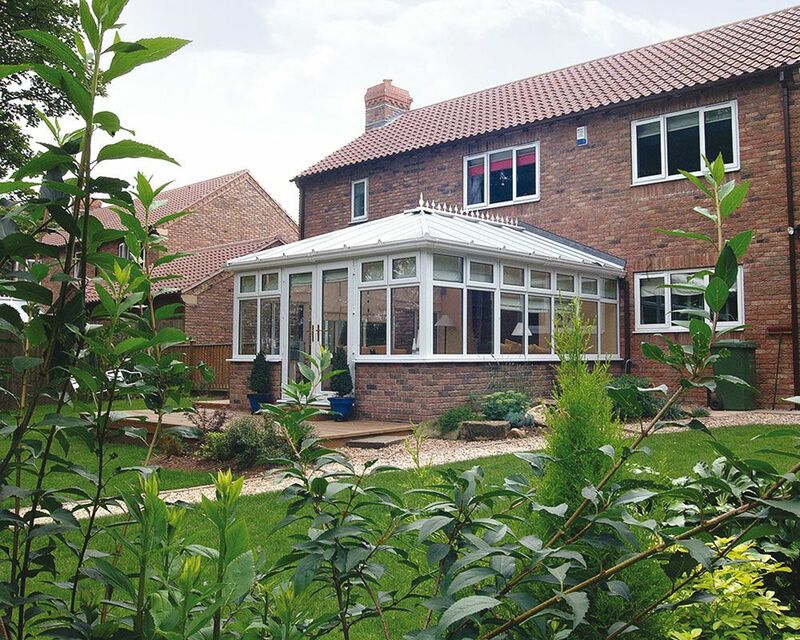 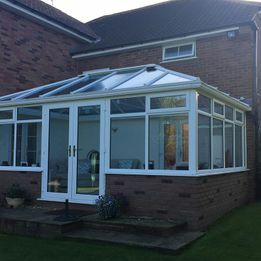 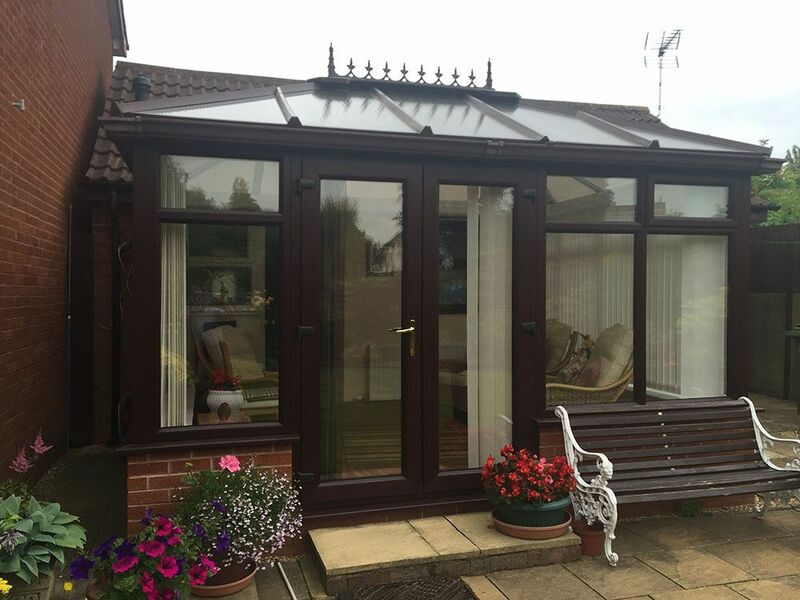 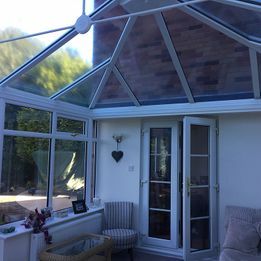 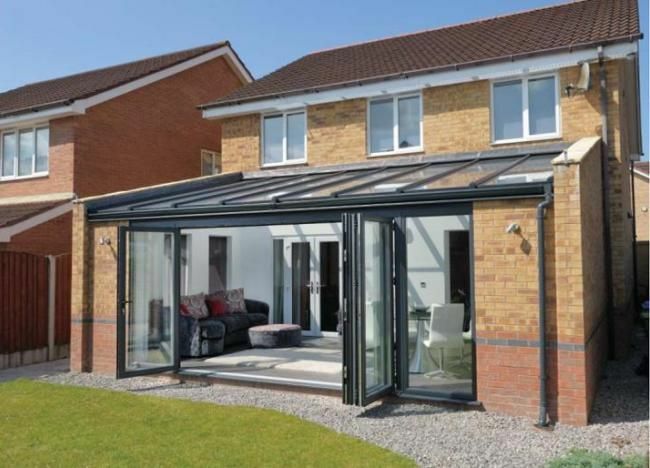 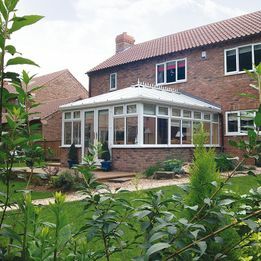 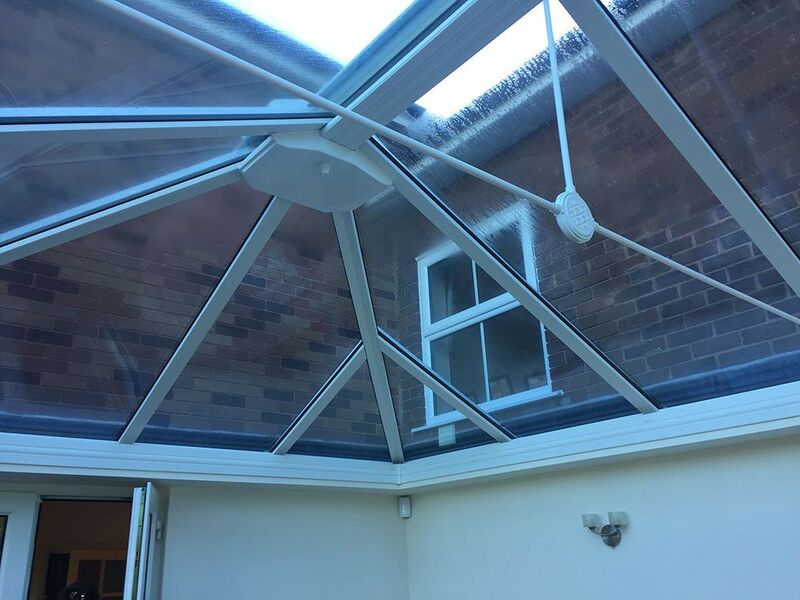 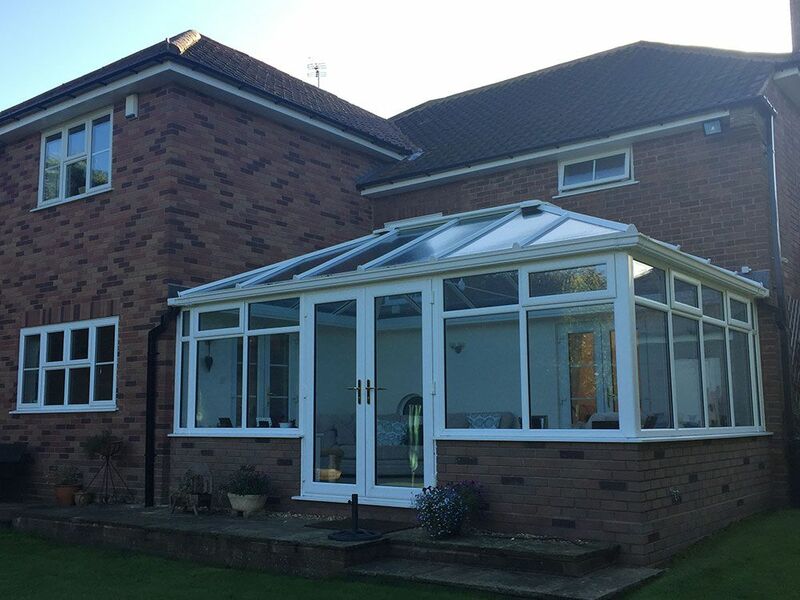 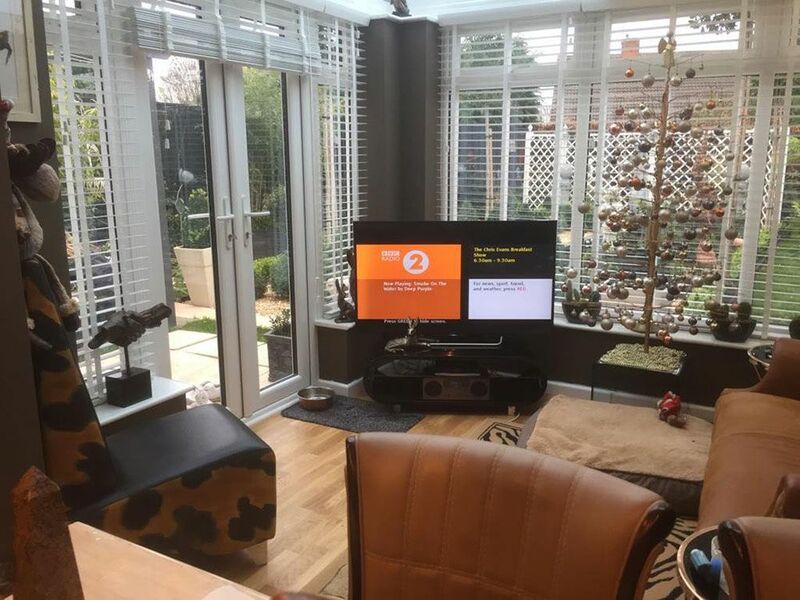 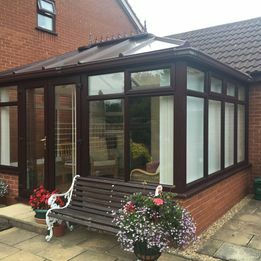 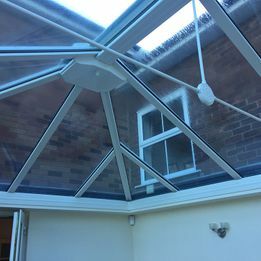 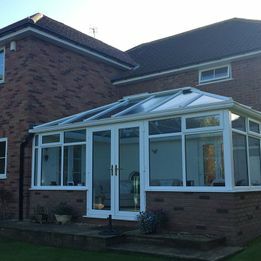 If you would like to discuss your needs and want to find the ideal Conservatory solution for your home, then please ensure you get in touch today. 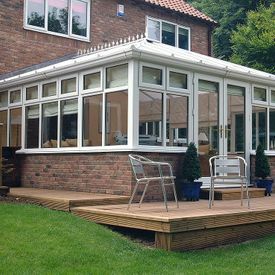 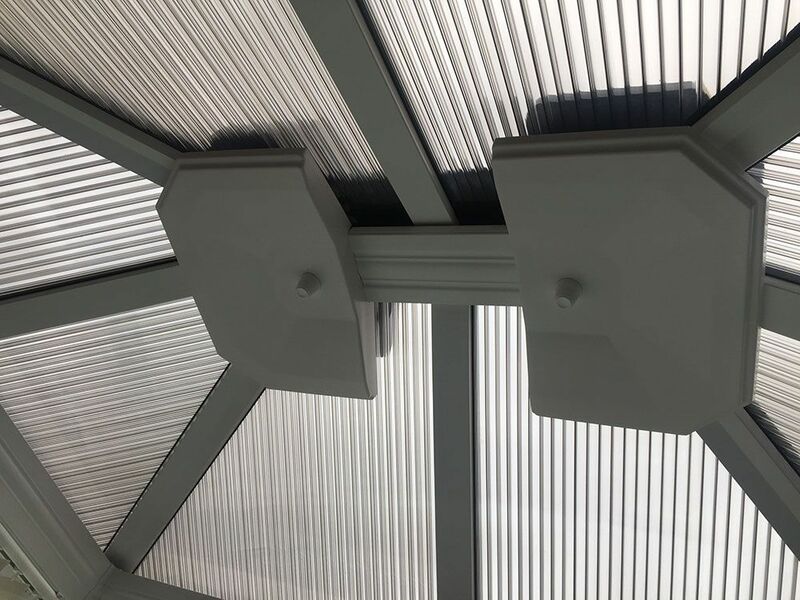 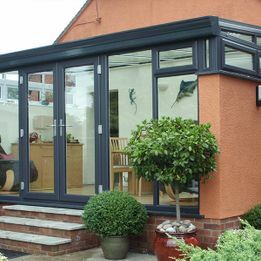 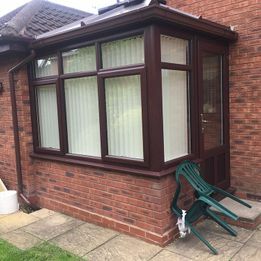 Lean to conservatories have a simple design making it easier to fit to most properties, therefore saving time, labour and money. 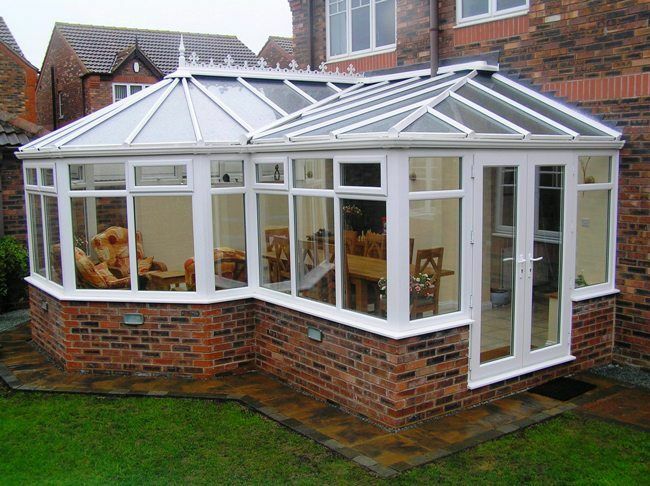 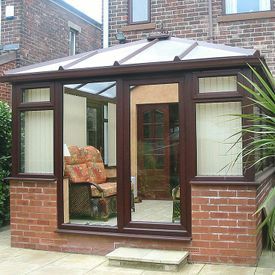 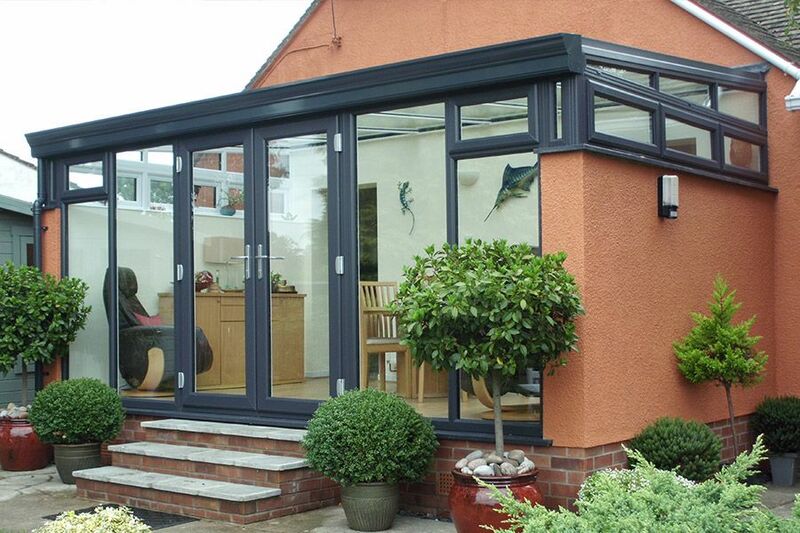 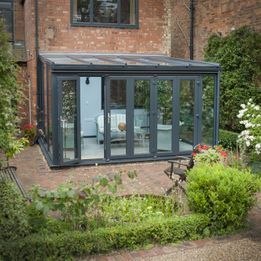 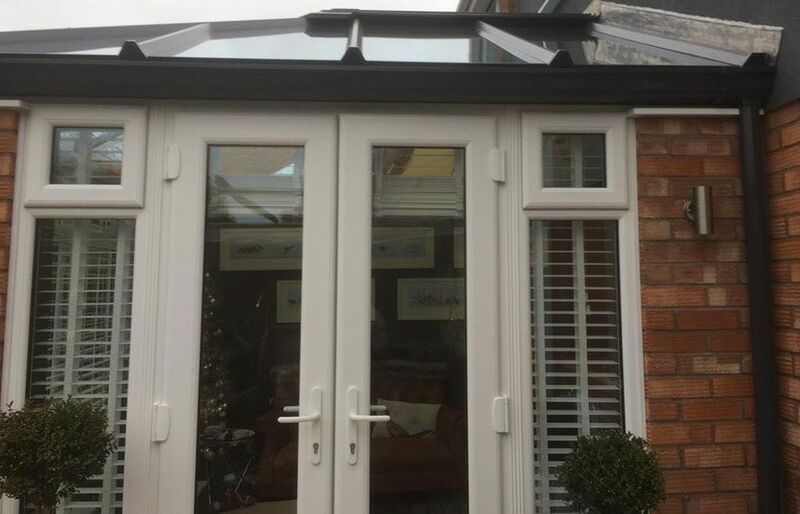 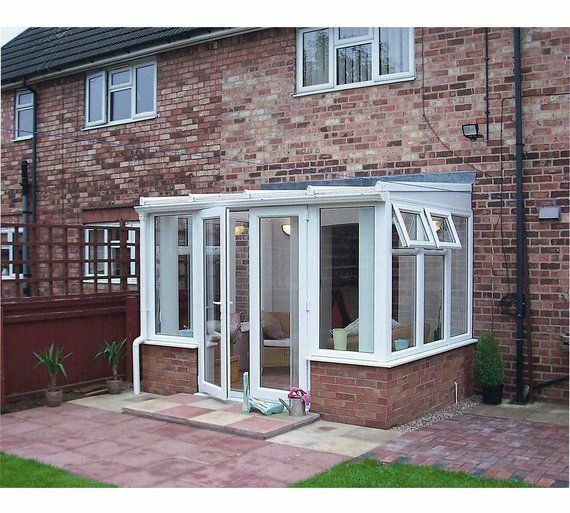 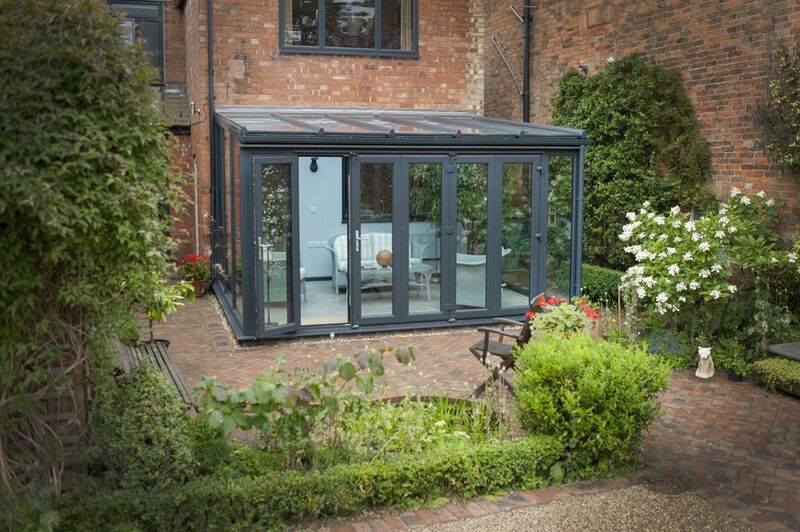 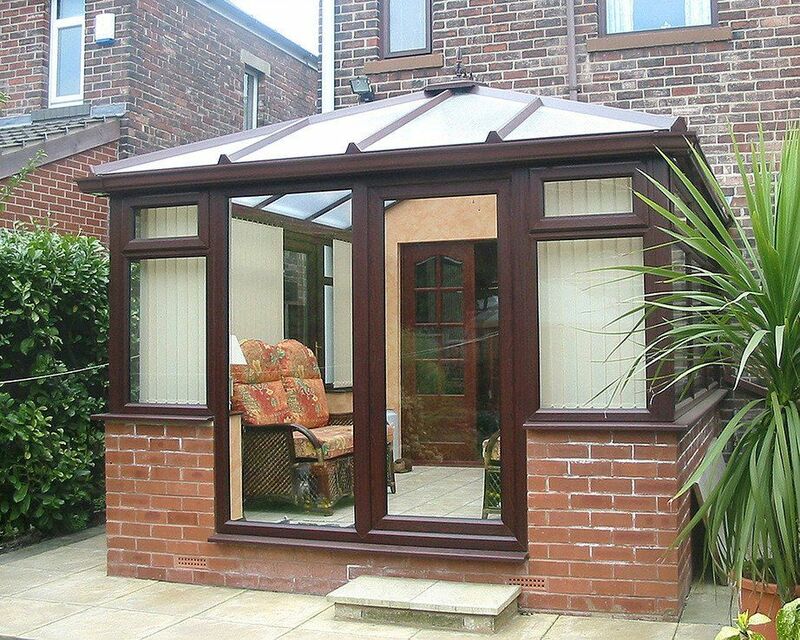 The lean-to conservatory is a very popular design as it will give you the extra space needed at the lowest price. 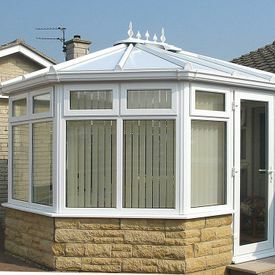 Rydale Windows have an have an enviable reputation for quality products and high standards of workmanship. 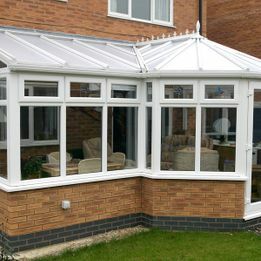 An Edwardian conservatory is an ideal choice when looking to add style and a touch of grandeur to your home, without doubt the Edwardian style conservatory is one of the most popular conservatory styles partly due to it's streamlined elegant structure and the available space to fit all of your furniture into the space available. 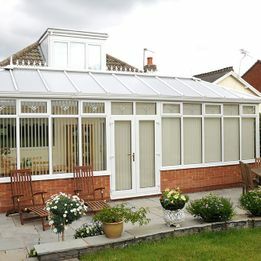 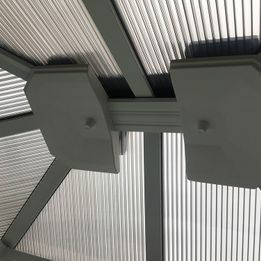 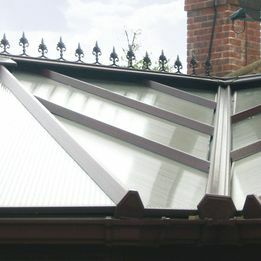 Gable End conservatories use the same basic square shape of an Edwardian conservatory but the roof of the gable end conservatory dominates the skyline. 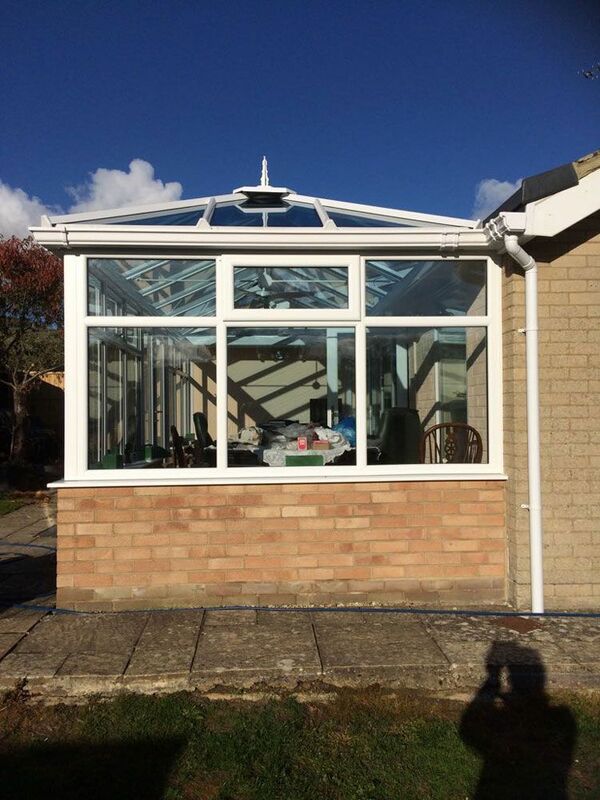 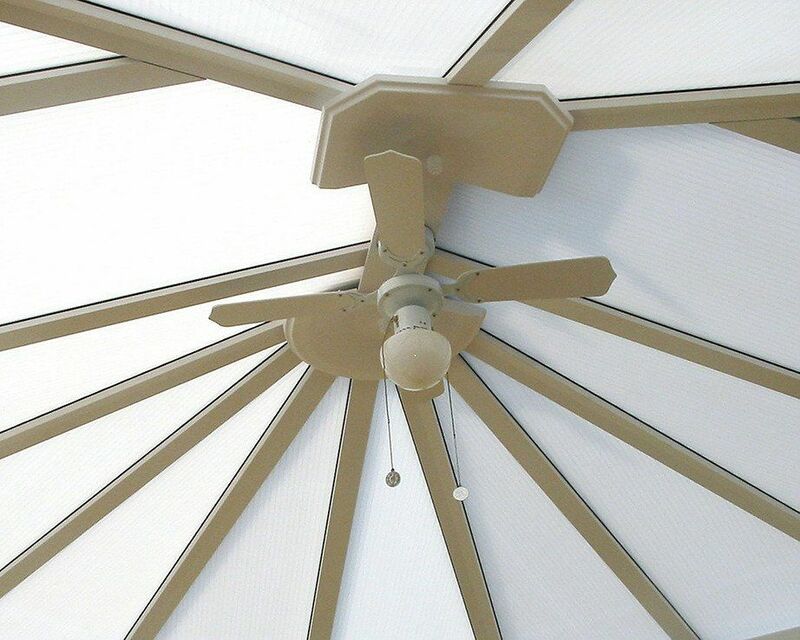 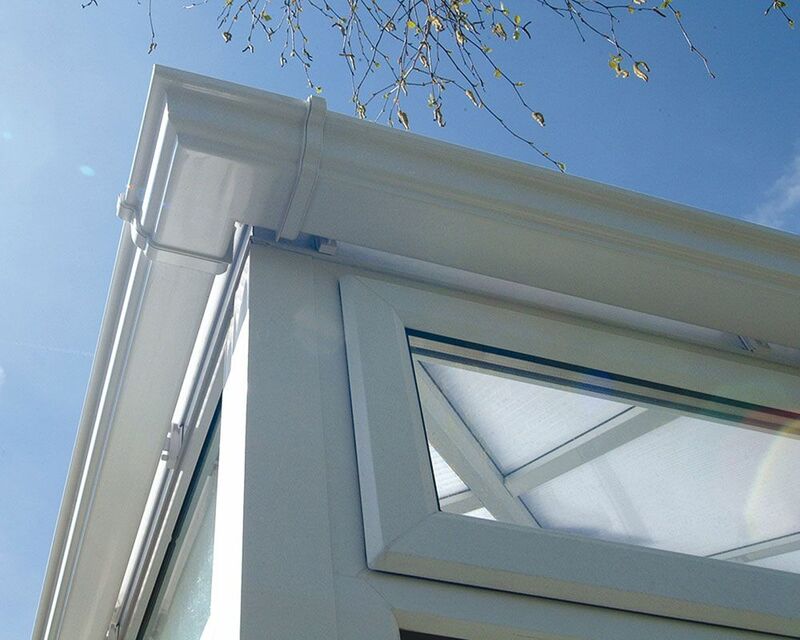 The Gable end conservatory is a robust, bright and airy space designed for thermal efficiency and reliability. 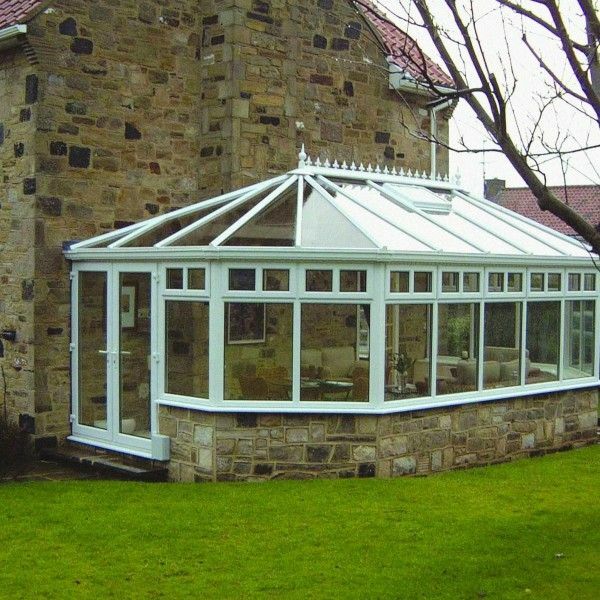 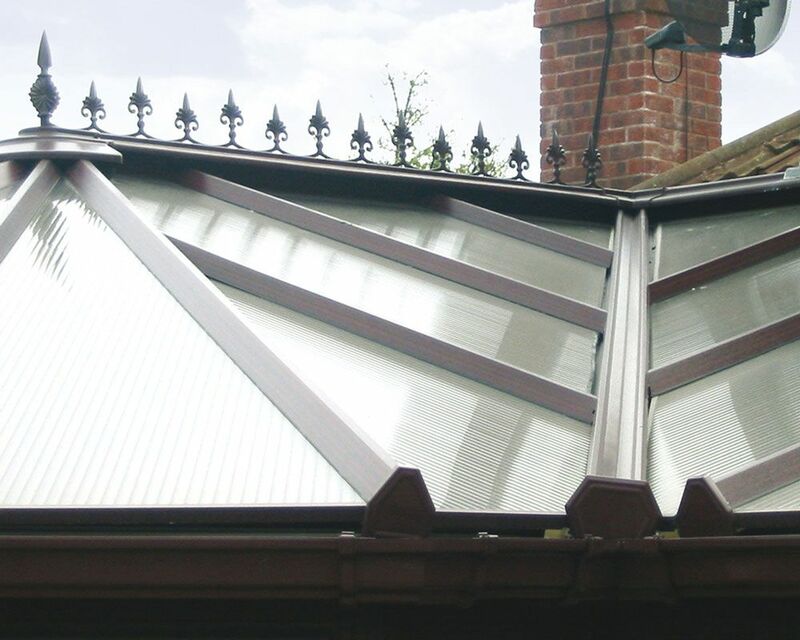 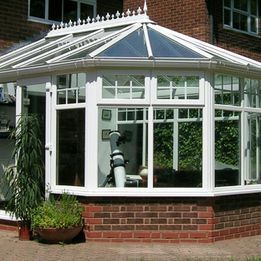 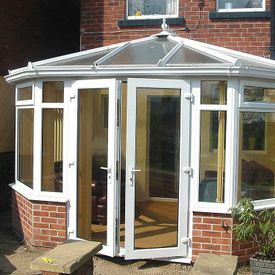 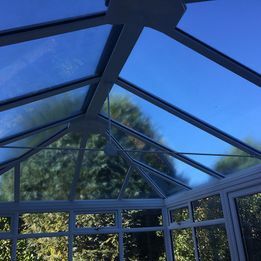 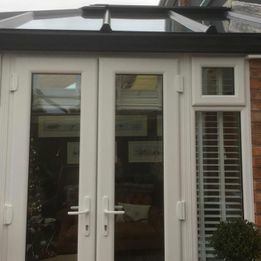 A Victorian conservatory suits most house styles combining a bay curved front with period design features it is a popular choice to extend your home. 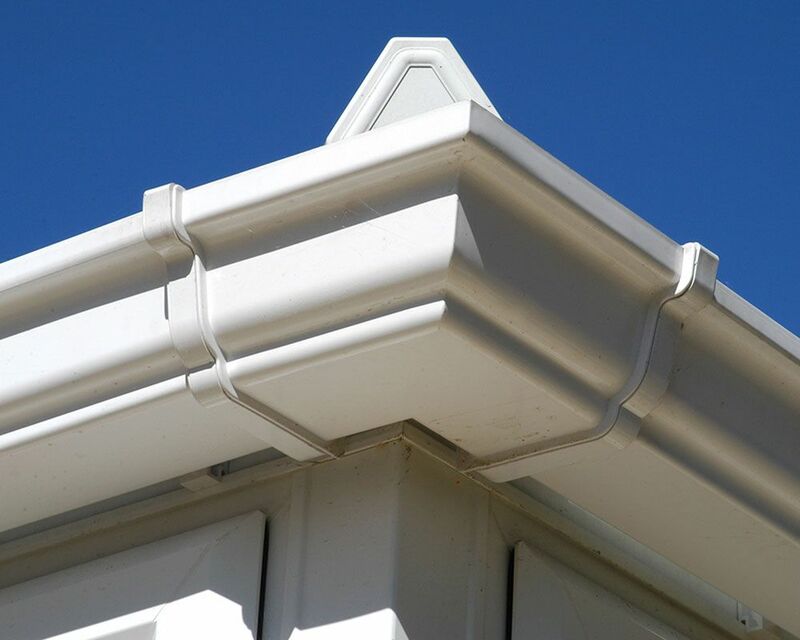 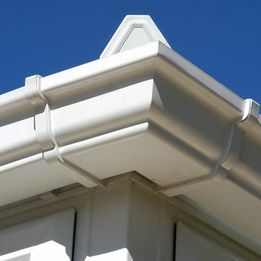 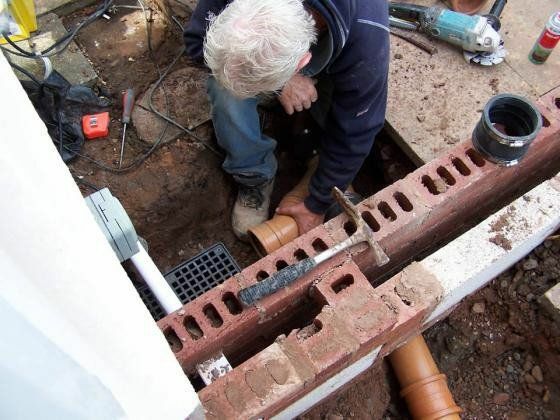 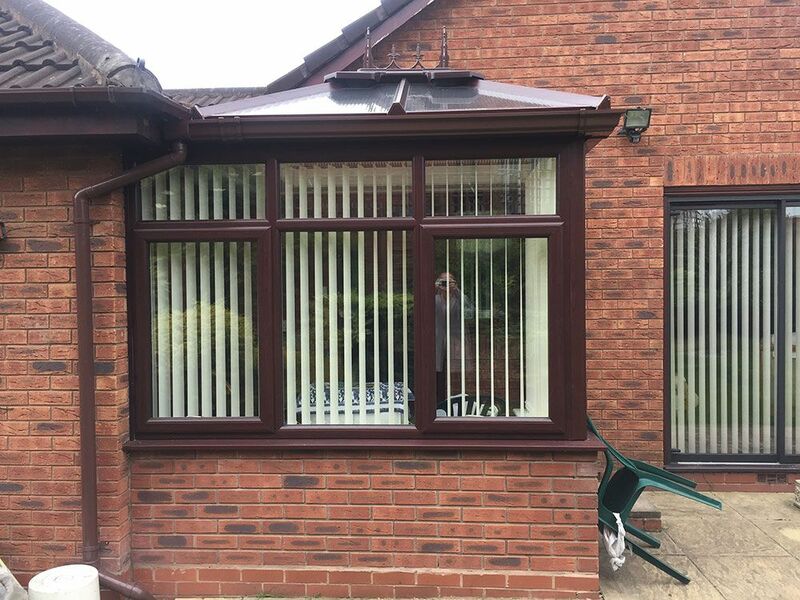 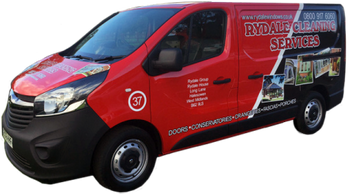 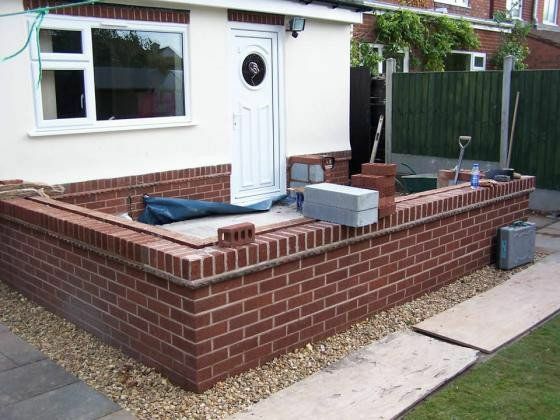 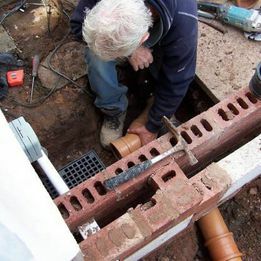 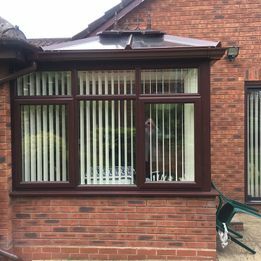 Rydale Windows are always happy to answer any questions that you may have, please get in touch or fill out our quick quote form and we will get back to you as soon as possible. 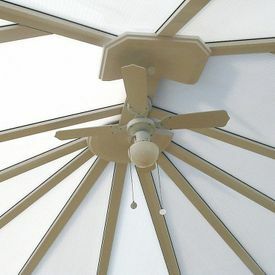 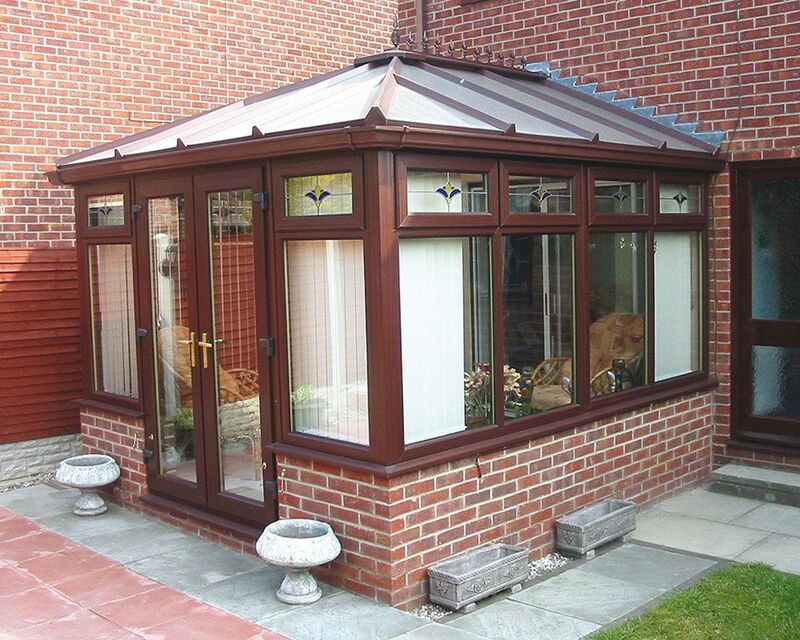 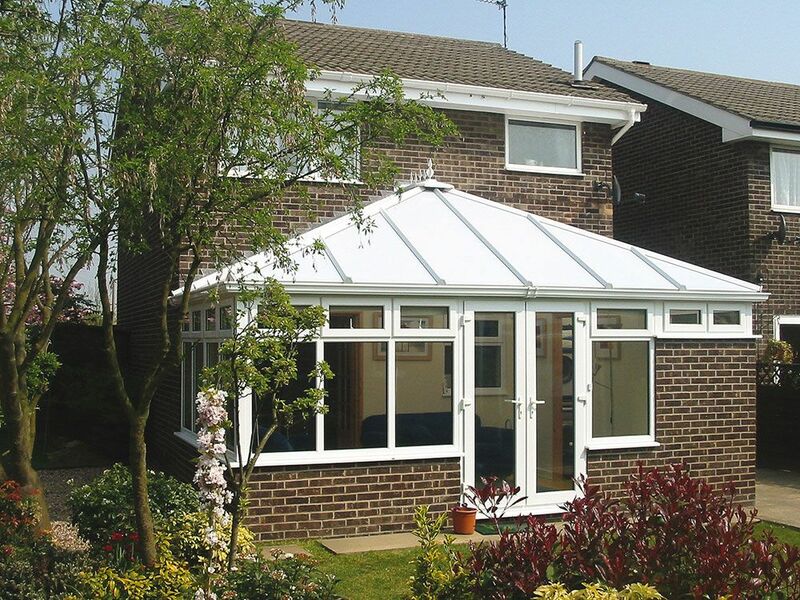 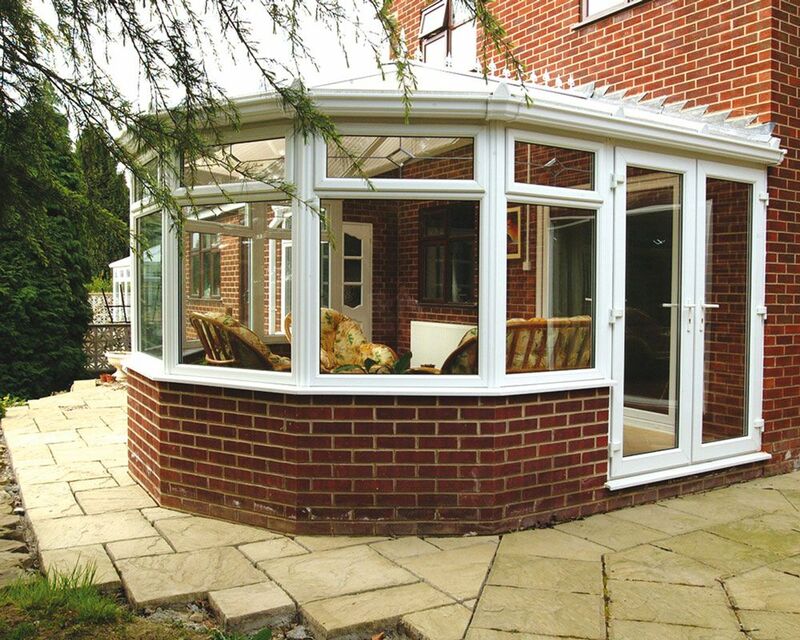 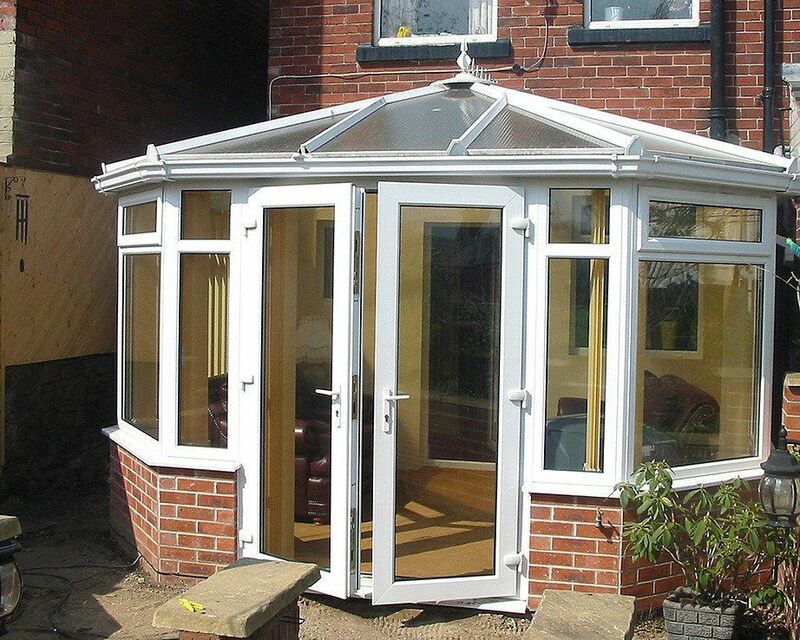 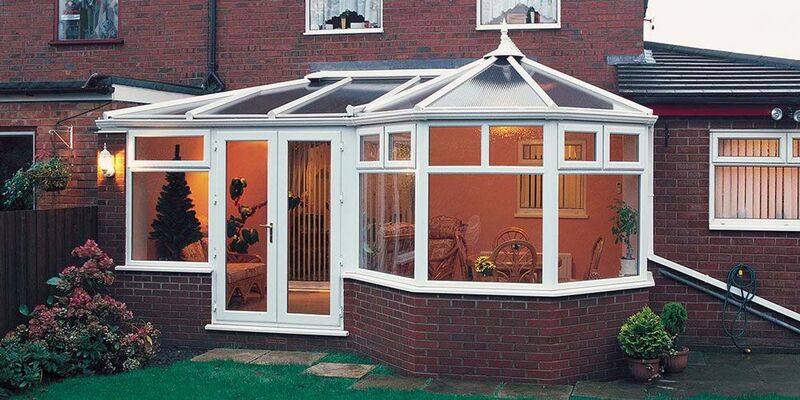 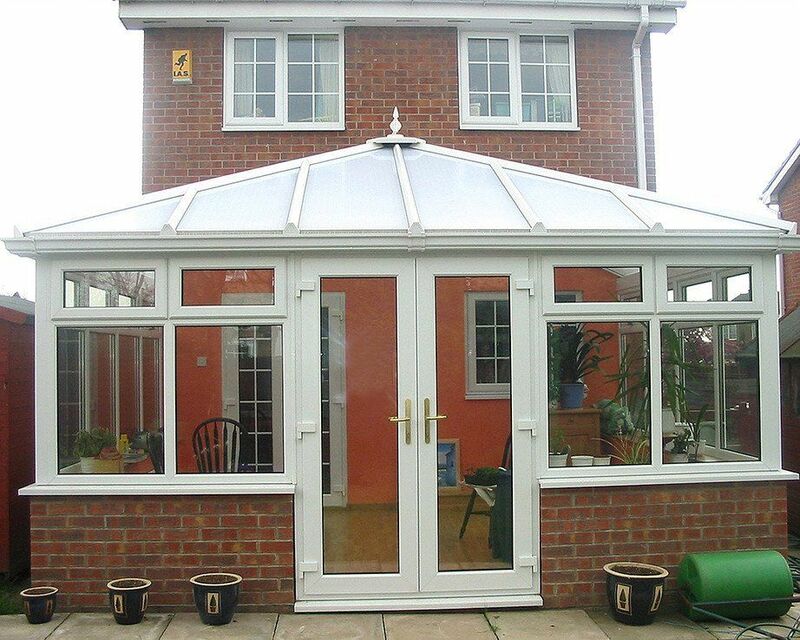 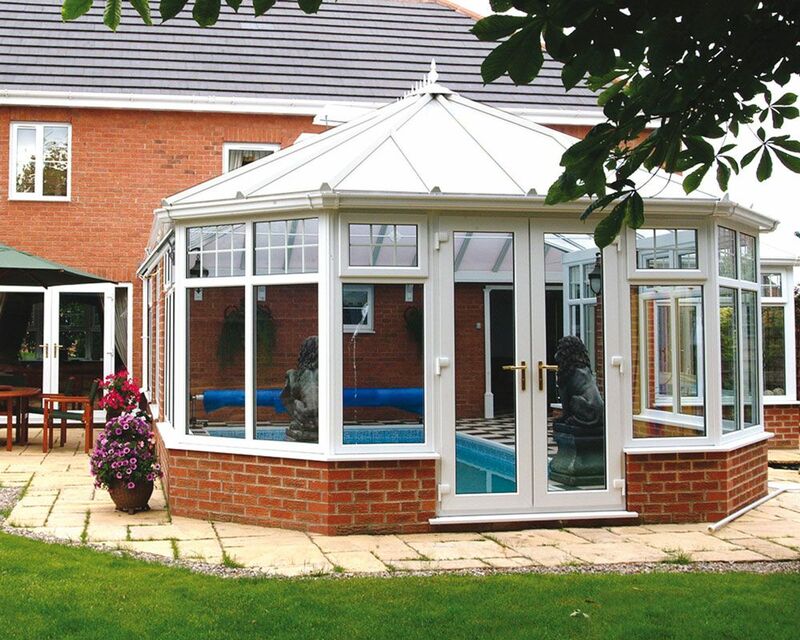 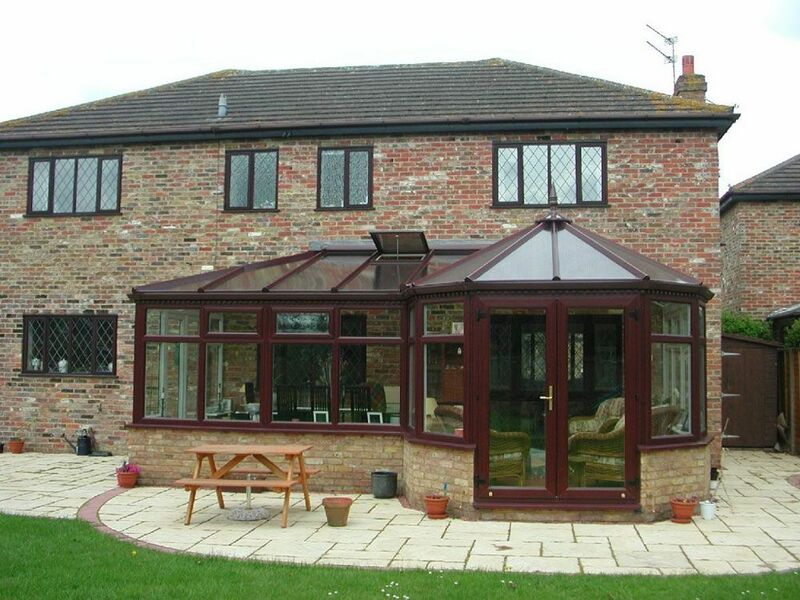 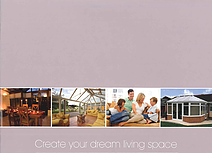 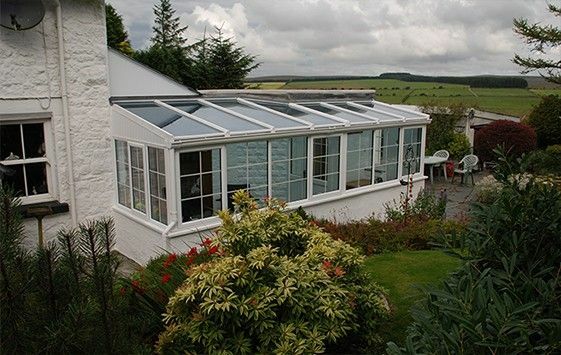 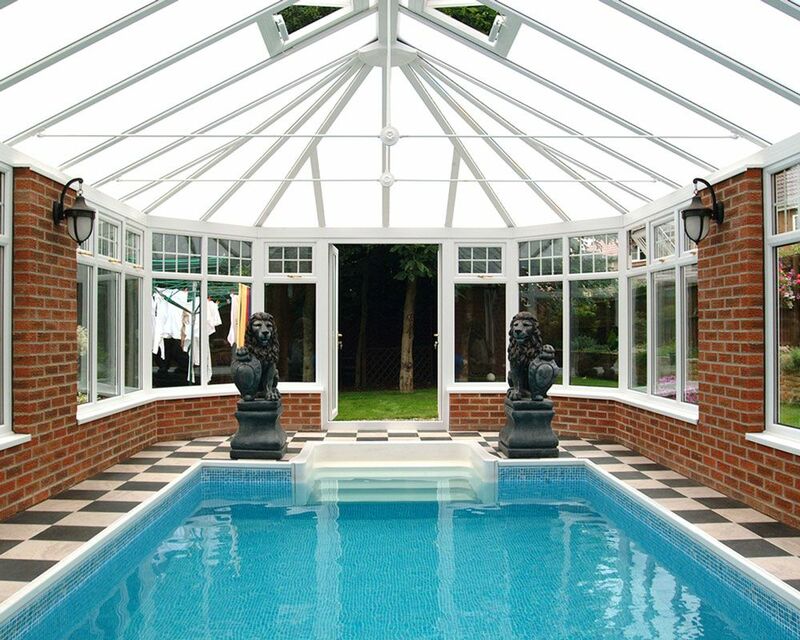 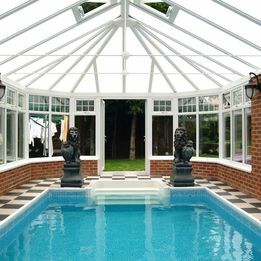 The P Shape conservatory is an ideal choice when choosing a large conservatory for your home. 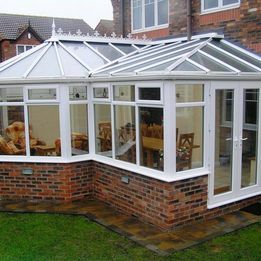 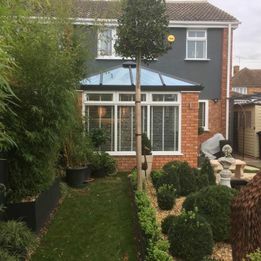 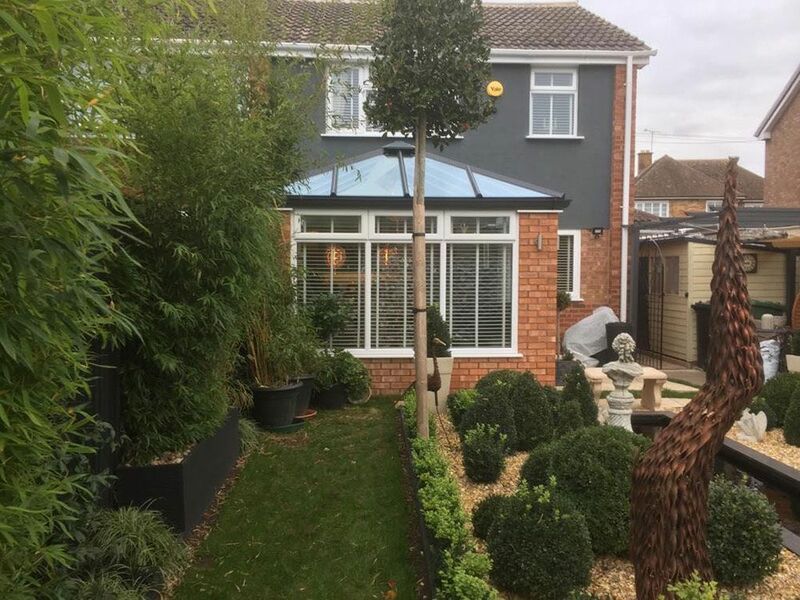 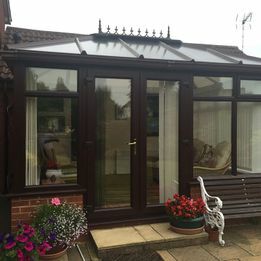 Perfect if you want the grandeur of Victorian but need more space, the combination of the traditional practical Lean To conservatory with the glamour of Victorian style not only adds extra living space to your home but also adds value and style. 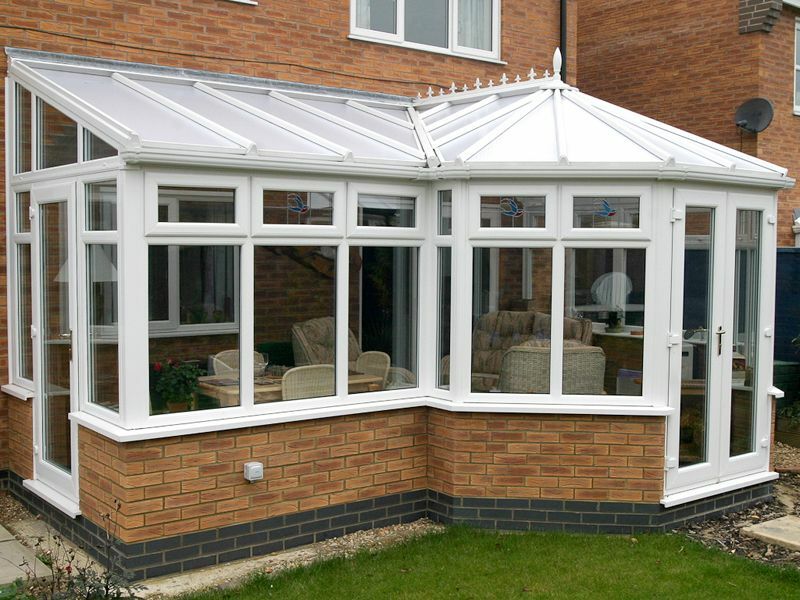 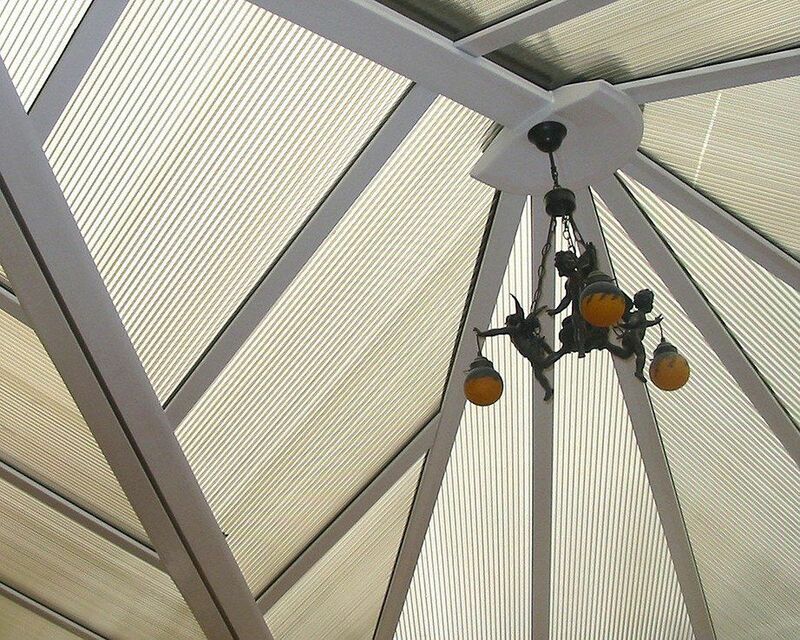 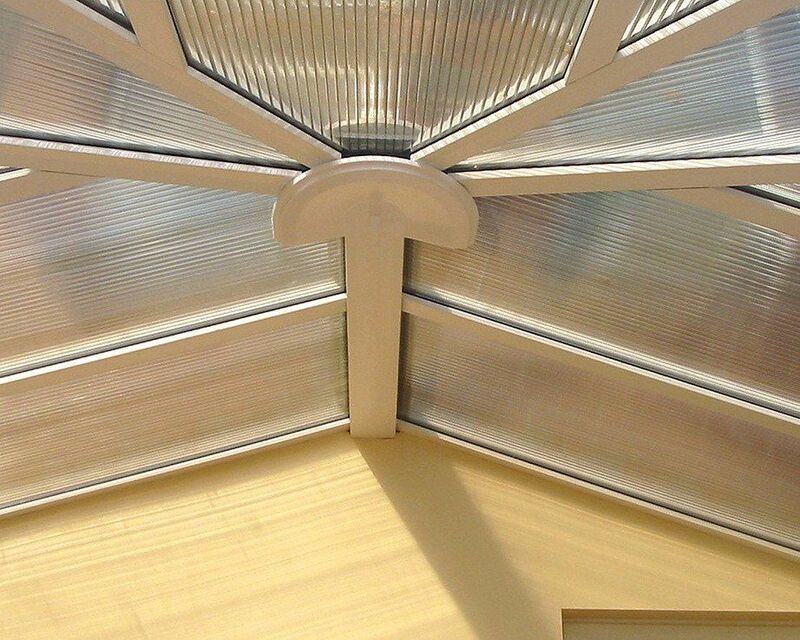 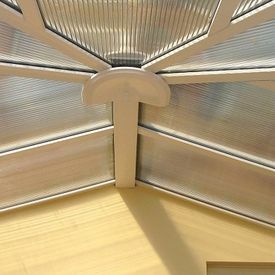 Aside from installation and maintenance, we also provide a cleaning service to make sure your Conservatory shine!